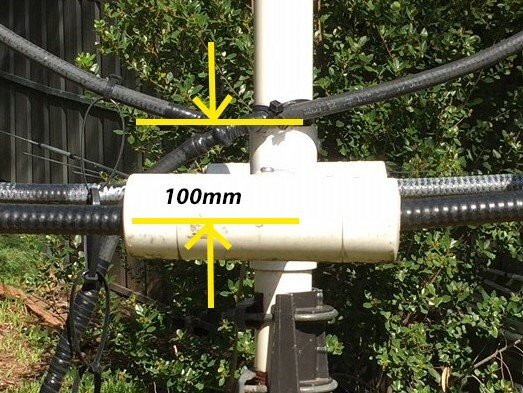 Have you ever wanted to work the 160 metre Amateur band for local and DX contacts however; do not have the space to erect a suitable dipole or vertical antenna with its associated tuned ground radial system? Do you suffer from local QRM to the point where most wanted signals are masked in the noise? 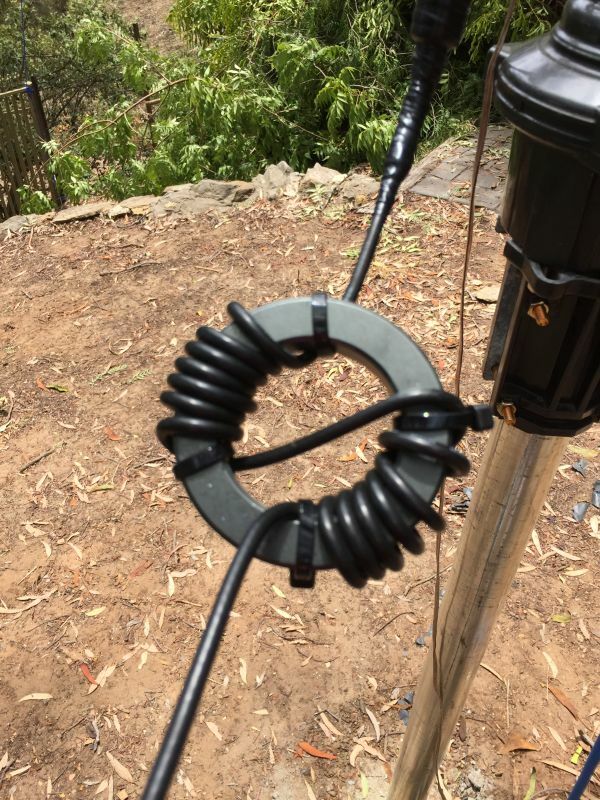 Well, a Transmitting Magnetic Loop Antenna (TMLA) for the 160 metre band might just be the solution you are looking for! 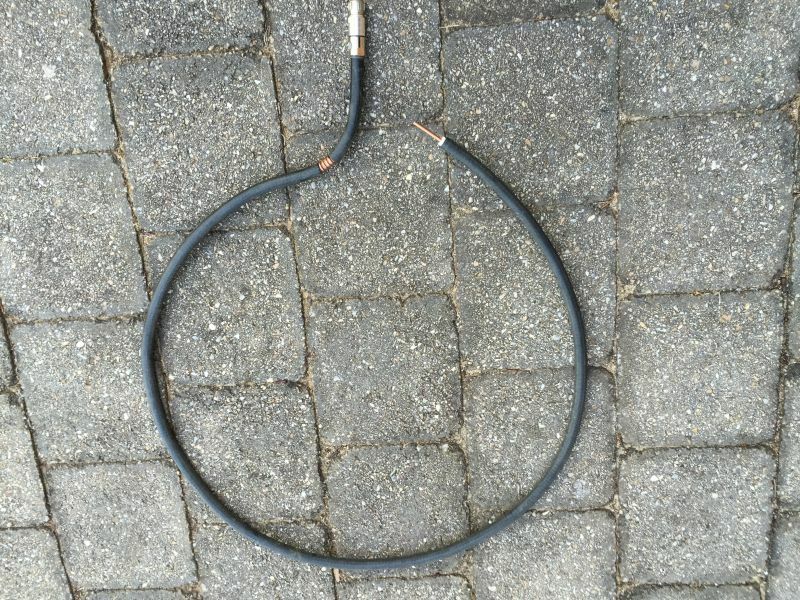 There are some caveats you need to consider before constructing this antenna. 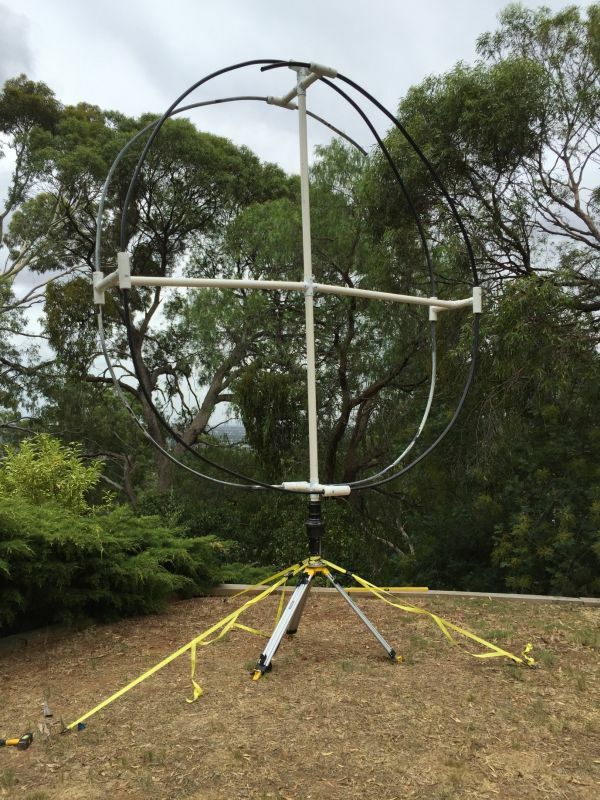 1) This antenna is over three metres in diameter and weighs around 30 kilograms. 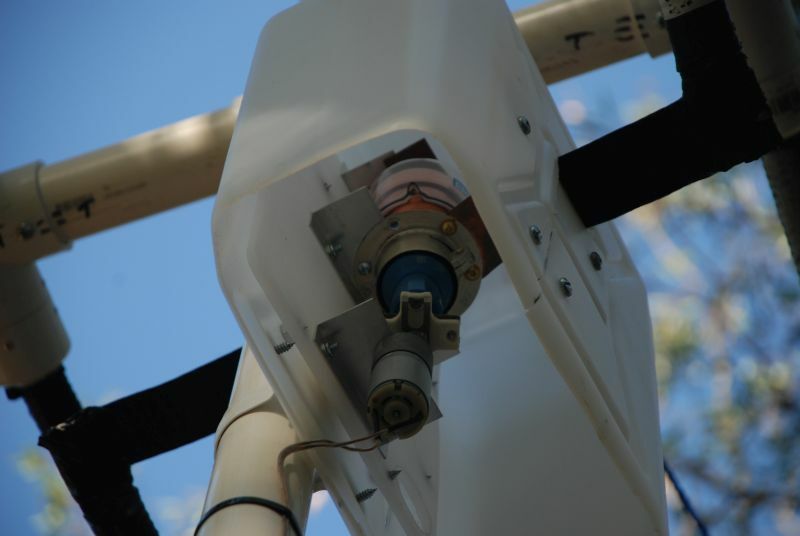 2) The antenna must be mounted on a suitable post and guyed for stability. 3) TMLA’s exhibit very high voltages and strong magnetic fields. Great care must be taken in choosing a safe mounting position. 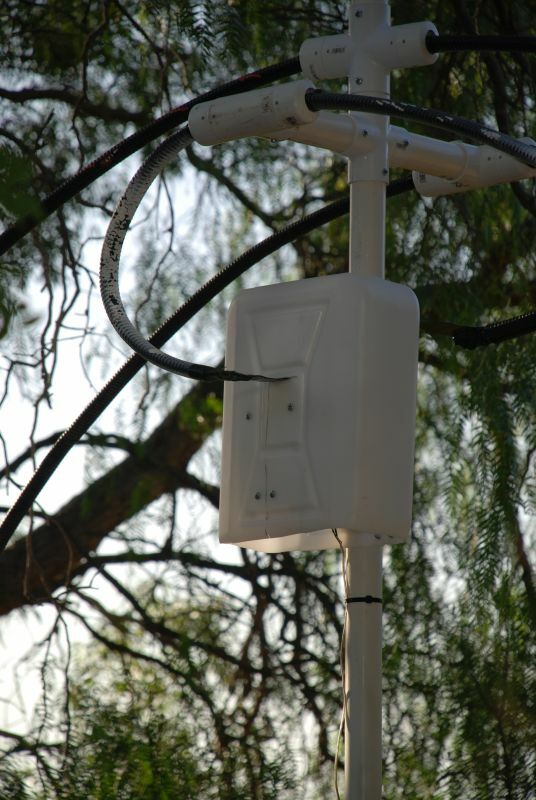 5) The antenna will cost in excess of AUD$1000.00 if you need to purchase all the parts. 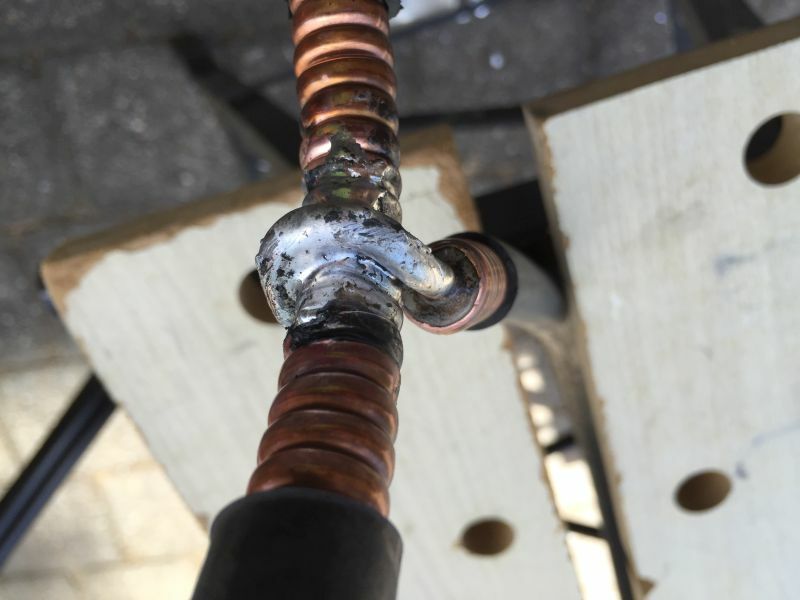 7) All connections must be brazed or silver soldered. 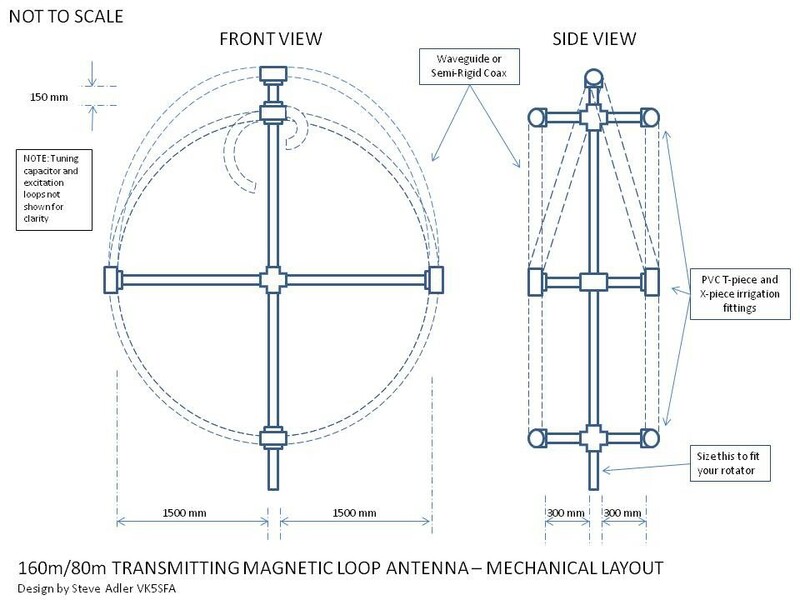 Now, before I start my detailed description on how to build this antenna, you must download and read Leigh Turner’s (VK5KLT) excellent paper on Magnetic Loop Antennas. Read it a few times! His paper alone gave me the inspiration to actually commit and build one. I’m pleased I did! 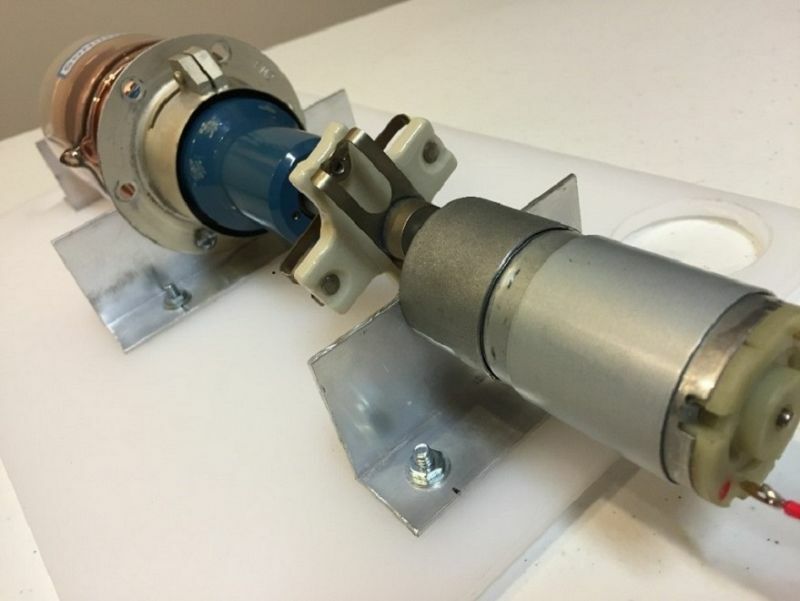 · To design a very compact antenna that radiates a reasonable amount of R.F. power between 20 and 45 degrees elevation for DX operation. Near Vertical Incidence Skywave radiation for short distance communications would also be a bonus. · To come up with a physical design that could be modelled in NEC to see how it would behave, construct the antenna and then prove the predicted results by empirical field strength measurements in the Far Field. 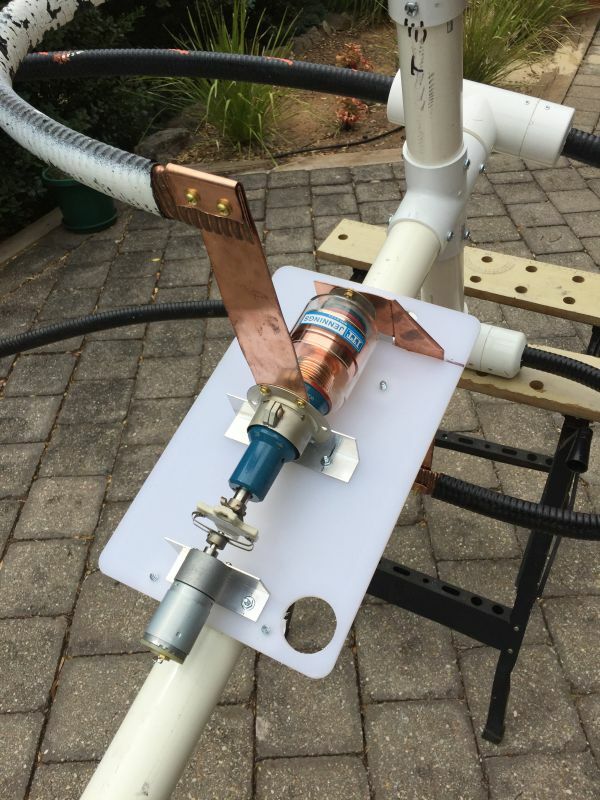 · To publish the design to allow others to make the antenna with repeatable results, mostly out of items purchased from a hardware store, using basic hand tools. 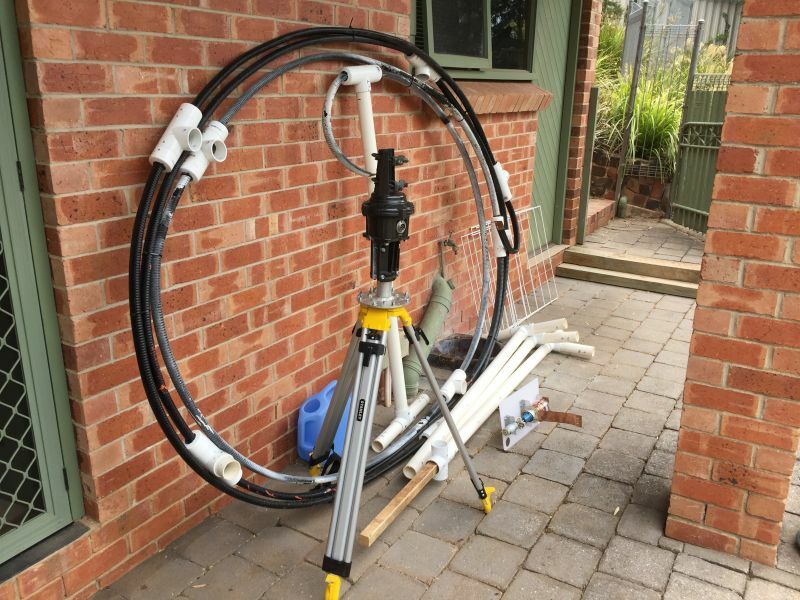 A small Magnetic Loop antenna is defined as having approximately 1/10th of a wavelength circumference. This equates to approximately 16 metres on the 160 band. 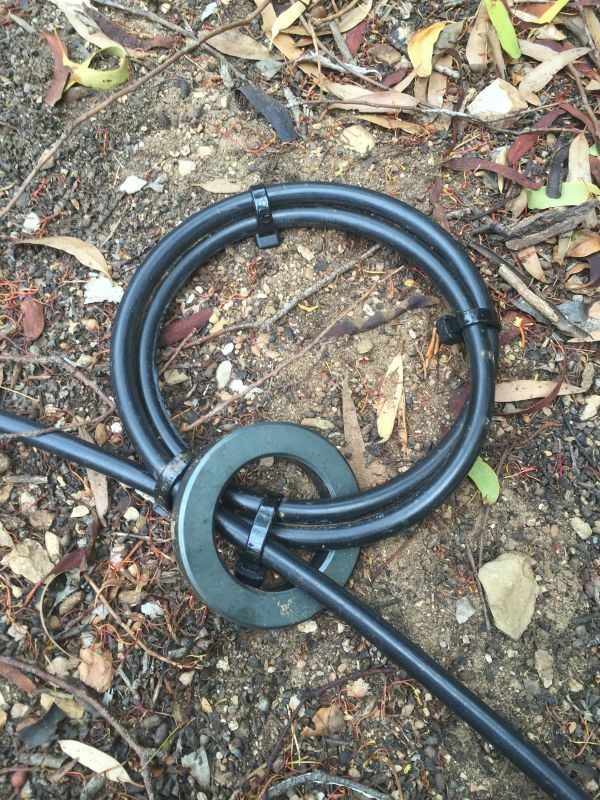 Using this circumference, the diameter of the loop would be approximately 5.2 metres. 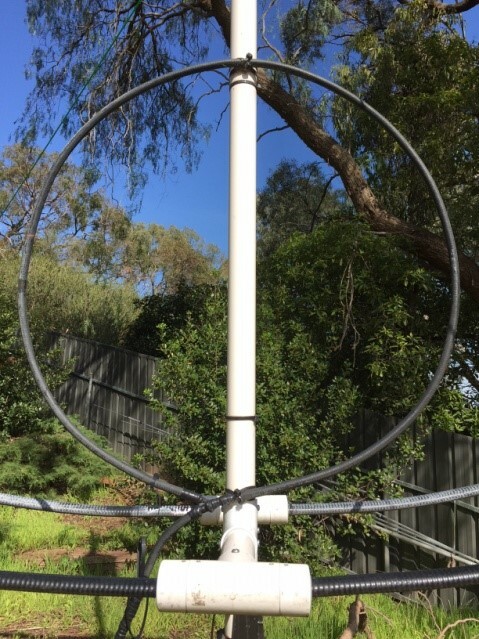 Gus KB0YH provided me with this correction: "John Kraus said in his Antennas book that the loop perimeter can be up to 1/3 wavelength to maintain within 1% the required constant current around the loop that defines a magnetic loop antenna. I use 30% max conductor length. 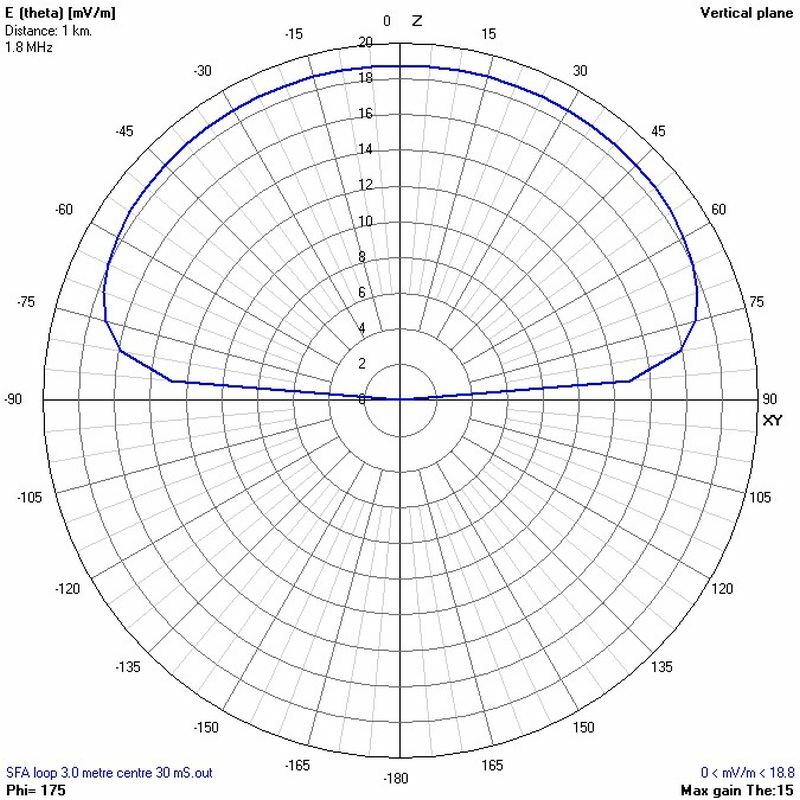 The 1/10 lambda figure is important for direction finding receiving loops, but is too restrictive for transmitting loops that tend to operate in the 10-30% lambda range to provide adequate instantaneous bandwidth at the operating frequency." I decided this size to be too large to be able to create a non-metallic supporting structure. 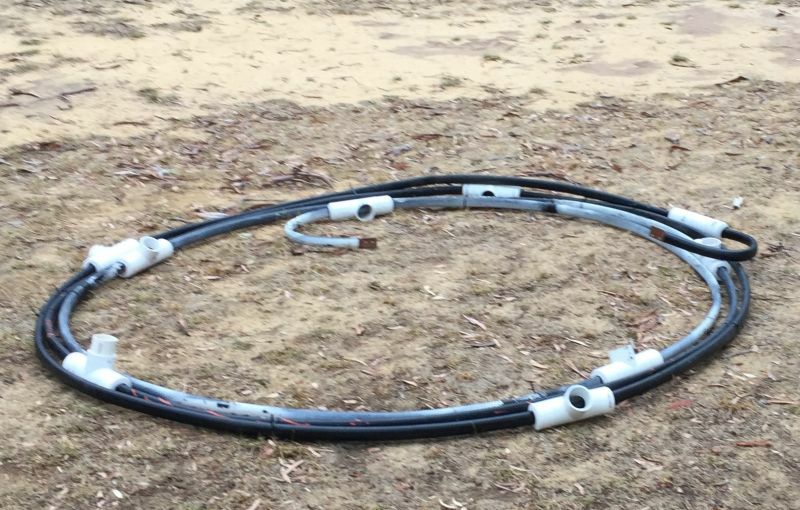 Searching the internet for designs led me to begin considering a two turn magnetic loop, approximately half the diameter. 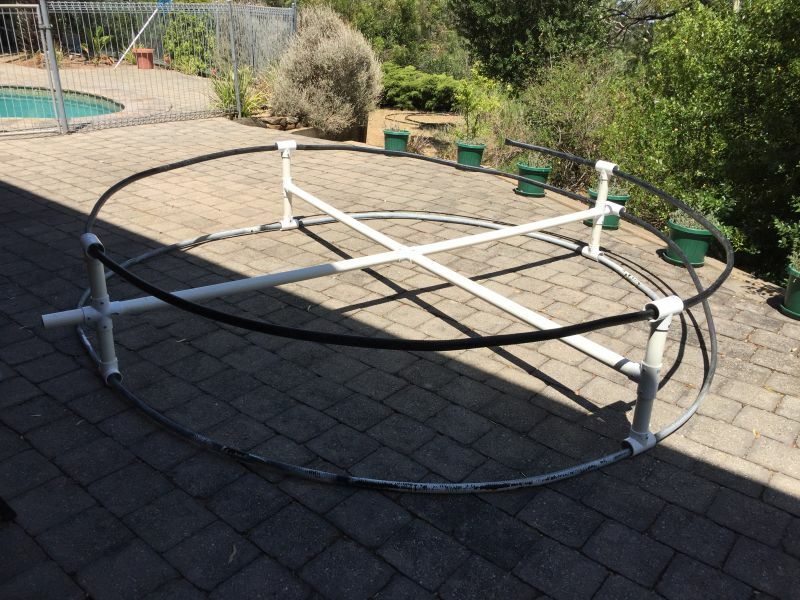 Finally, I settled on making the two loops approximately three metres in diameter. This has a couple of benefits! 1) The structure is far more manageable in size. 3) The efficiency rises slightly because the circumference is now approximately 23 metres. 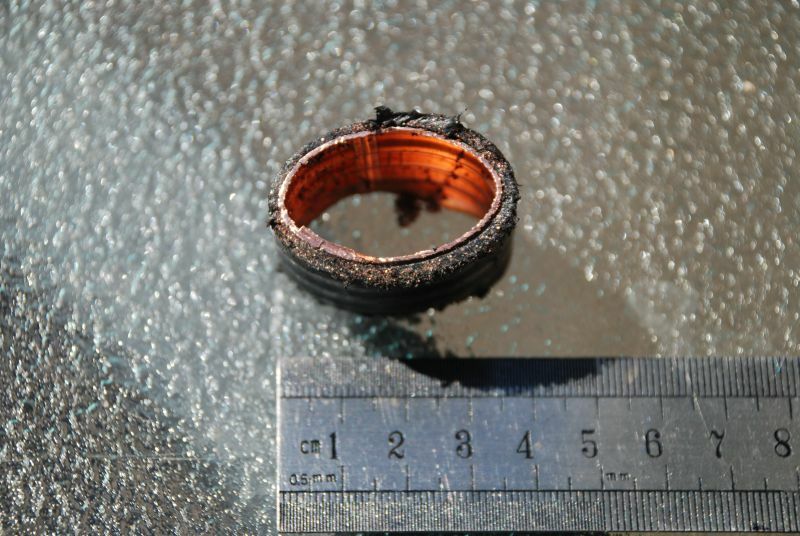 4) Although the TMLA’s radiation resistance is substantially reduced through the choice of the smaller and more manageable 3m diameter loop dimension, the additional turn increases that radiation resistance by a useful factor of four to claw back about half of what was lost due to the loop area reduction. The antenna's precious radiation resistance derives from loop aperture / enclosed area. The efficiency reducing loss resistance is proportional to the loop circumference, while the radiation resistance is proportional to the square of the loop area or the fourth power of the circumference. 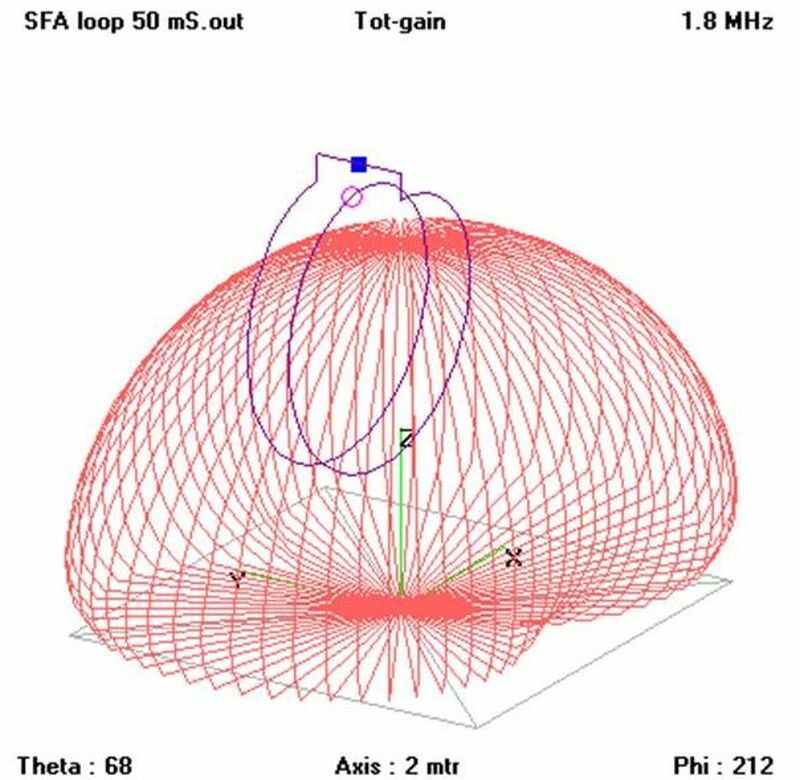 A successful TMLA practical design is all about attaining the oftentimes elusive target "sweet spot" of maximizing Rrad and simultaneously minimizing Rloss in order to maximize antenna efficiency. You want your additional Rrad to always outpace and keep ahead of the also increasing Rloss. 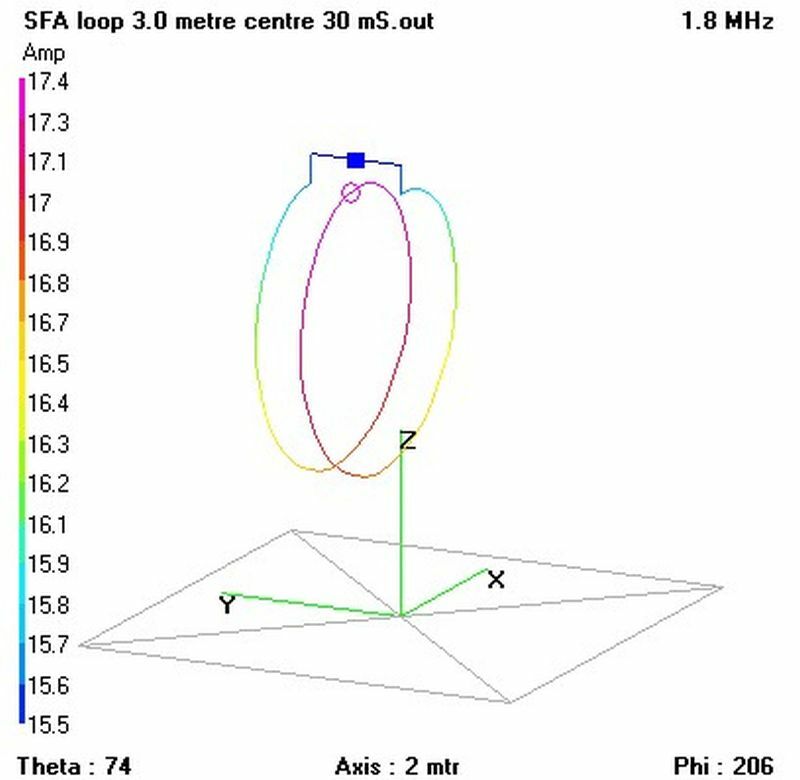 In this design this objective is adequately achieved on 160 metres to produce a commendable result and is well achieved on 80 metres where the antenna efficiency becomes impressively high due to the TMLA’s rapid rise in radiation resistance far outpacing and swamping the losses! On the lower 160 metre band one also has to consider the additional practical requirement of not attaining too high a Q factor such that the resultant VSWR bandwidth is too narrow to pass SSB energy and make TMLA tuning too fussy. Now, will it work? Living in Adelaide, South Australia has its benefits. Four distinct seasons, arguably some of the best wine in the world and access to three mentors who helped me with invaluable input during the design phase of the antenna. 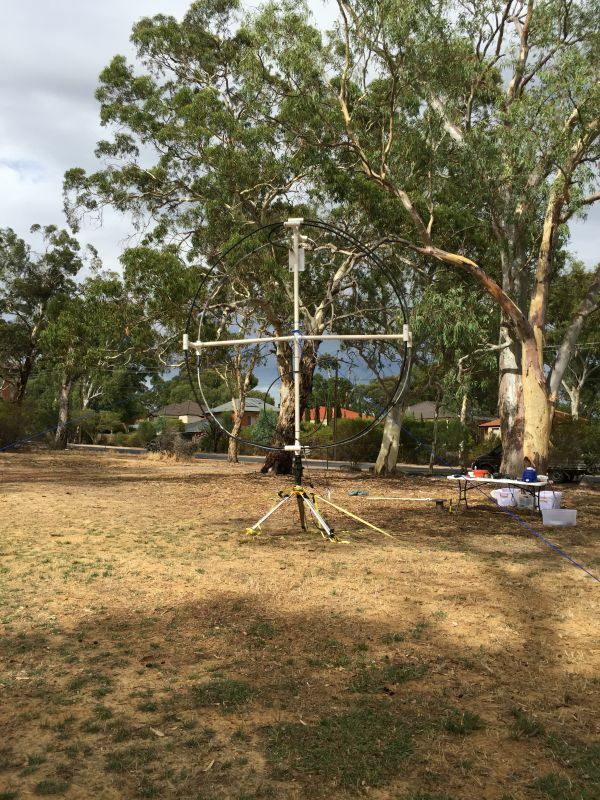 Leigh Turner VK5KLT, Paul Lawson VK5SL and Trevor Harwood VK5YFR all live in or near Adelaide. Leigh you already know about because by now, you will have read his excellent paper a few times! Paul and Trevor and I all work in the Broadcast industry and have known each another for many years. Amongst many things, Paul is an expert on MF and HF antenna modelling. Trevor has a consulting business that specialises in providing high power transmission systems to the Broadcasting industry. It was agreed that a two turn design would work but the question was how well. Paul graciously spent hours of his valuable time coming up with the NEC models depicted below. You will note how well the antenna performs at 30 degrees above the horizon with respect to an isotropic radiator. Only 3dB down! You would need to get a half wave dipole at least a quarter of a wavelength off the ground to mimic this performance… My interest was piqued! Note the circulating current @ 400 watts. In excess of 87 amps in some places. Braze all the connections!!!!!!! The NEC output included in this iteration include: the 4NEC2 calculation input / output page, feed impedance plots, a diagrammatic image of the radiated pattern at a distance of 1 kilometre, antenna current for an input power of 100 watts, vertical gain in dB and finally the loop's radiated vertical signal level at a distance of 1 kilometre also for an input of 100 watts. So, what did I bring the table? Well, I suggested we use Helaix™ wave guide as the material for the main loops. 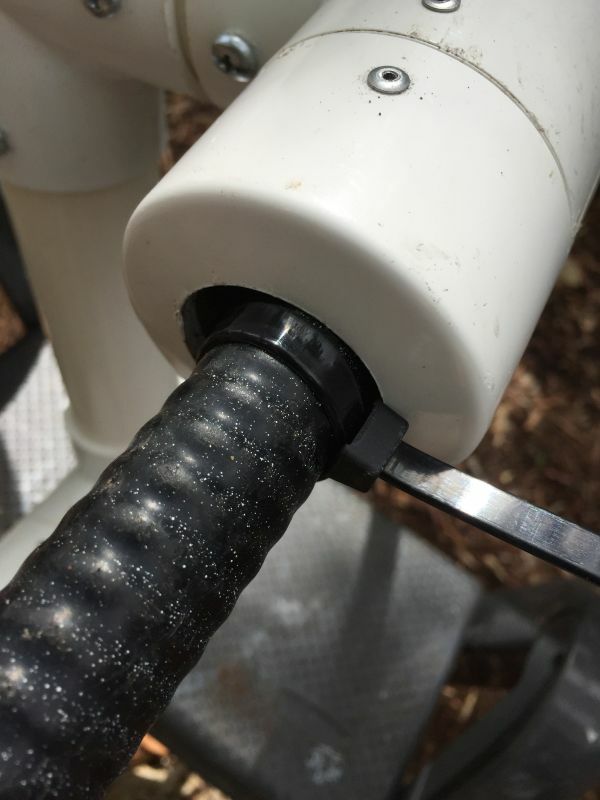 Heliax™ wave guide is like Heliax™ coaxial cable. 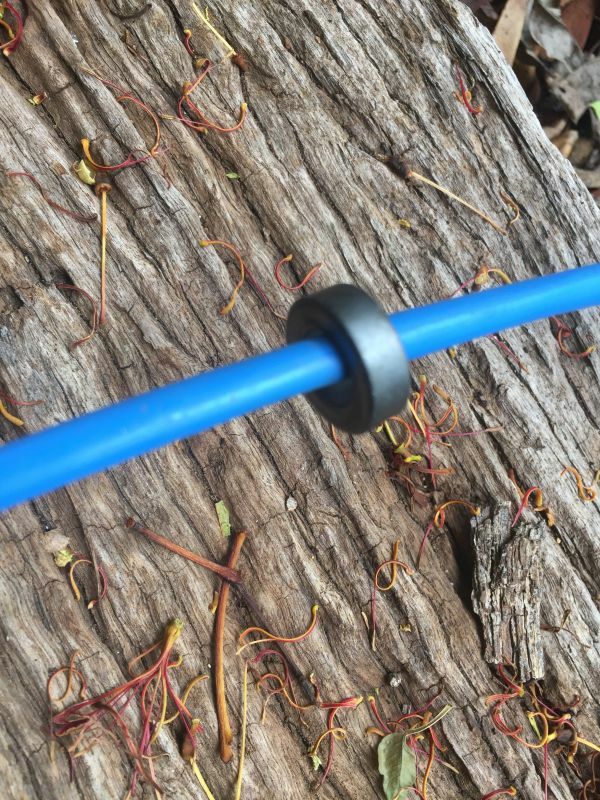 It has a solid copper, corrugated outer conductor which is protected by a polyethylene sheath and is relatively flexible however; unlike coaxial cable it has nothing inside it but air. 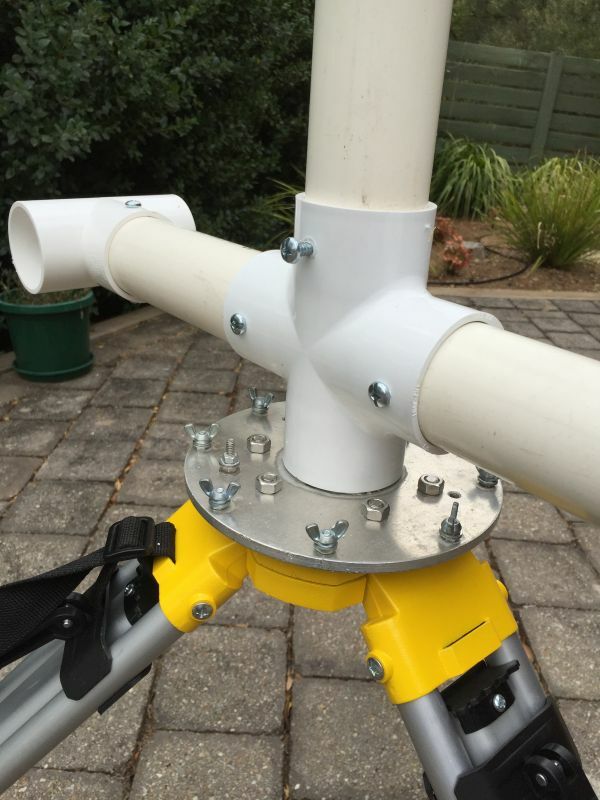 This makes it very light weight, whilst still providing the required cross sectional area required to make a Transmitting Magnetic Loop Antenna work. We procured some decommissioned 7GHz wave guide which weighed in at around 700 grams per metre. Very practical! 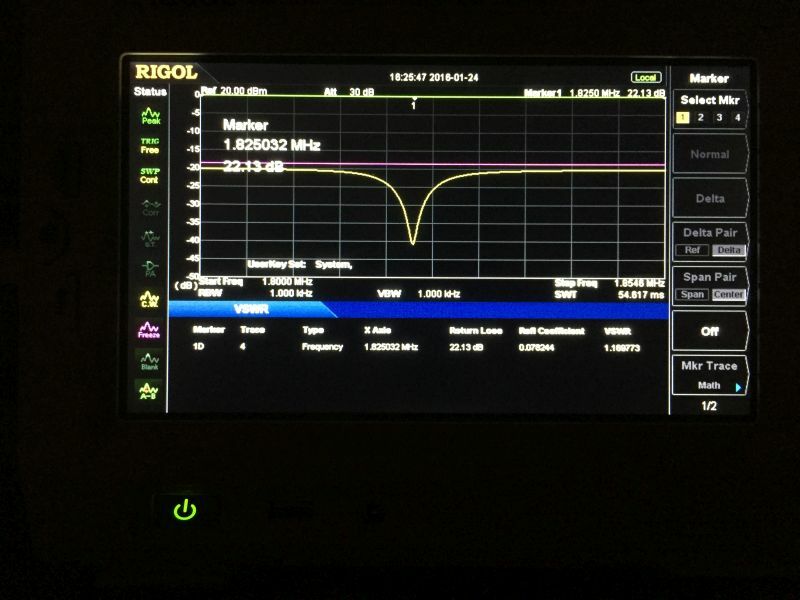 As mentioned before in this article, TMLA’s are very dangerous to living things that are within close proximity to the antenna whilst transmitting. The tuning capacitor must be adjusted by remote control. I achieved this by using a very cheap, DC motor coupled to a 10:1 reduction gearbox and a PWM DC motor controller. Both items were purchased from EBAY sellers for a very modest cost. Many people use stepper motors and the like, but I found this system brought the tuning rate down to 1pf per second. 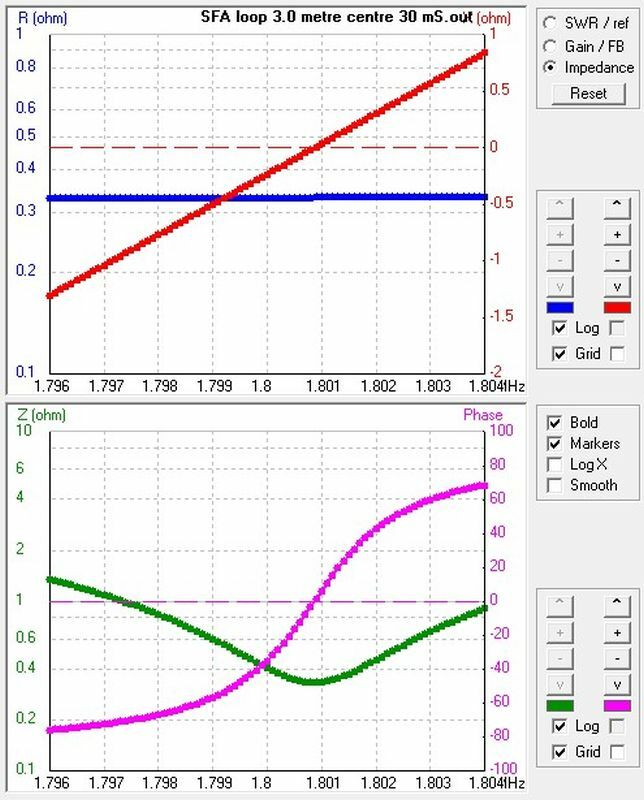 The perfect speed to tune such a high Q antenna. Note the use of the ceramic insulator drive coupler in series with the drive shaft to isolate the R.F. from the D.C. motor. 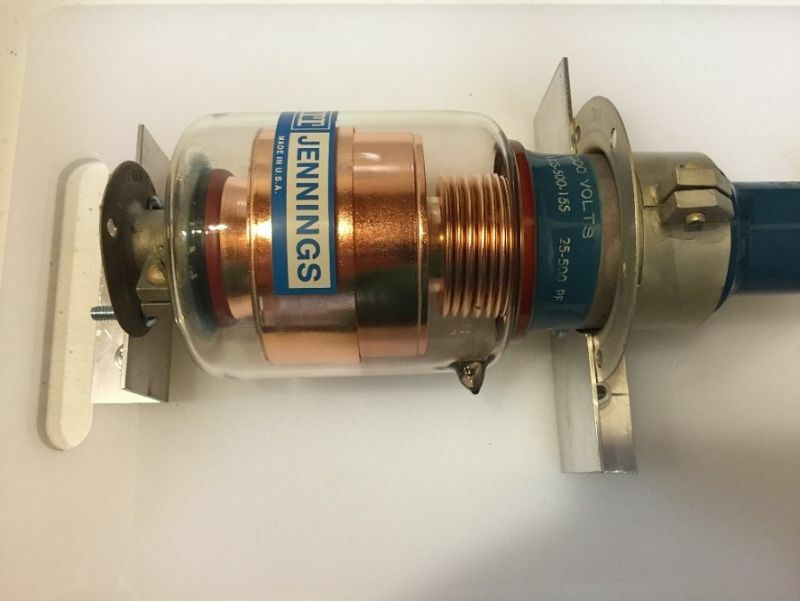 This coupler came with the Second hand Jennings™ vacuum capacitor. The DC Controller (Silver Box) with speed potentiometer and forward and reverse switch. Watch a video of the system in operation. The multimeter is displaying picofarads. As I mentioned earlier in this article, the loops must be supported by a non - metallic scaffold. Ideally, the scaffold must be strong, reasonably light weight and easy to procure. 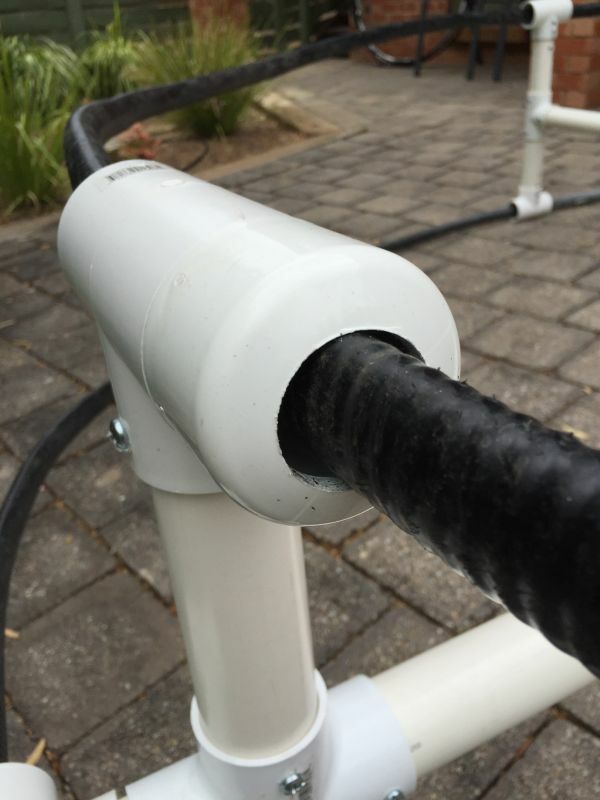 Ultimately, I ended up using 50mm high pressure PVC pipe and fittings. 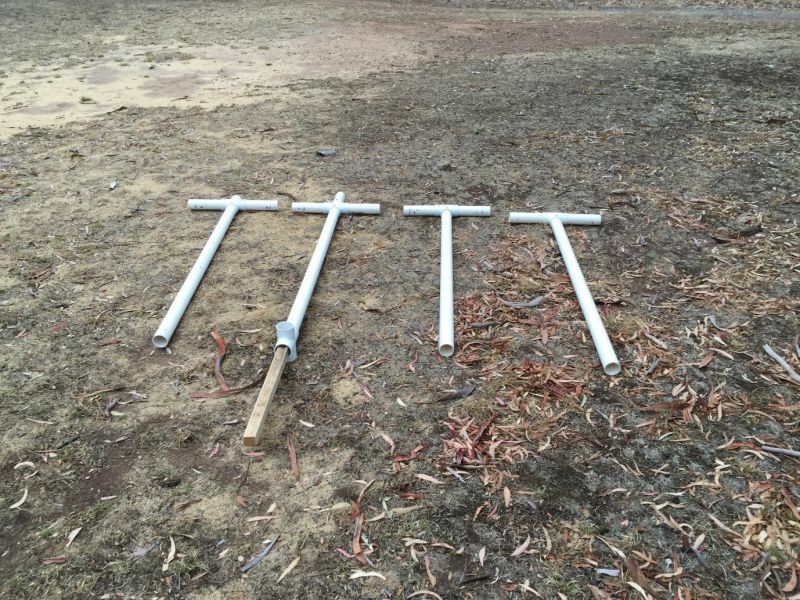 In Australia, the 4 way cross pieces, the T pieces and endcap fittings were purchased from http://www.perthirrigation.com The 50mm PVC pressure pipe was purchased from a local hardware store. 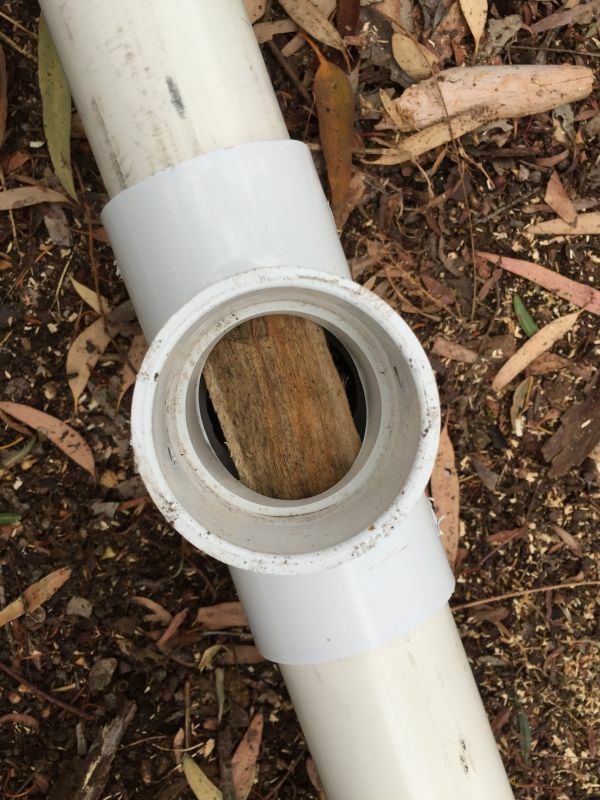 Note a length of timber slid inside the lower vertical PVC pipe. This was required to add stiffness to the structure and worked very well in doing so without adding too much weight. The timber dimensions are 40mm x 40mm x 2.2 metres. Test fitting the waveguide without endcaps fitted. An approximate length of 23 metres is required. Endcaps with a 38mm hole cut out in the middle were used to support and centre the waveguide. 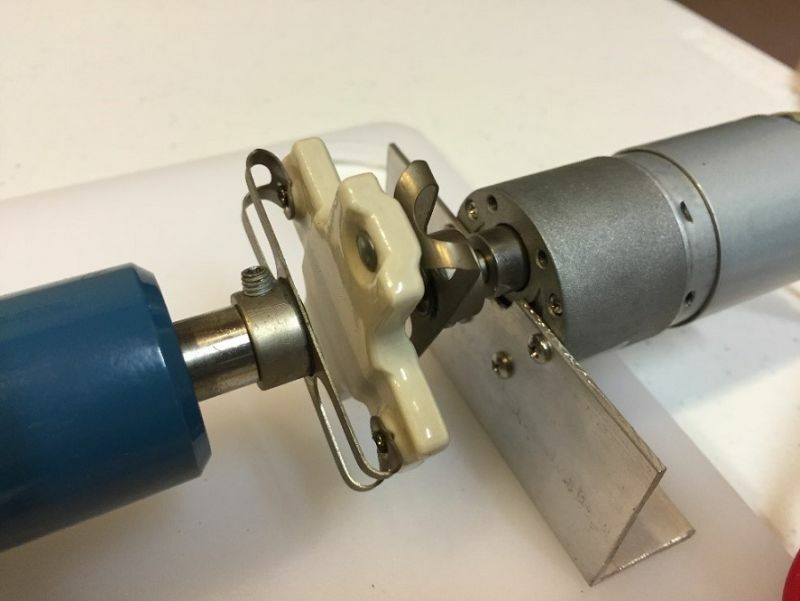 Next, the variable vacuum capacitor tuning assembly had to be mounted to the scaffold and connected to the waveguide. This was achieved with 50mm saddle clamps and 50mm wide flat copper strap. 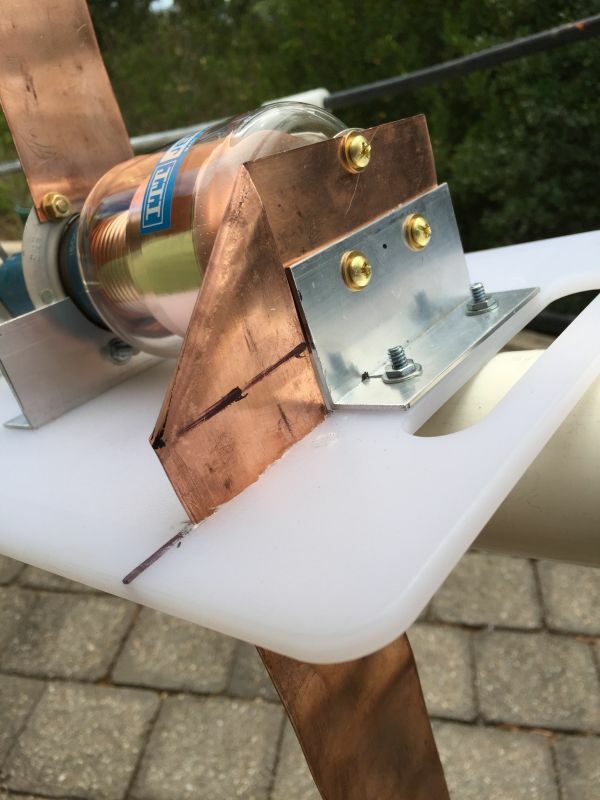 You will note I used brass nuts and bolts to connect the copper strap to the waveguide. This was only a temporary measure during the fitment phase. Everything was brazed upon completion. Remember, resistance is the natural enemy of a TMLA!!!! (Refer to Leigh’s excellent article) Do not be tempted to substitute thick copper wire or braided copper strap. The R.F. current circulating around the loop is conducted by skin effect. 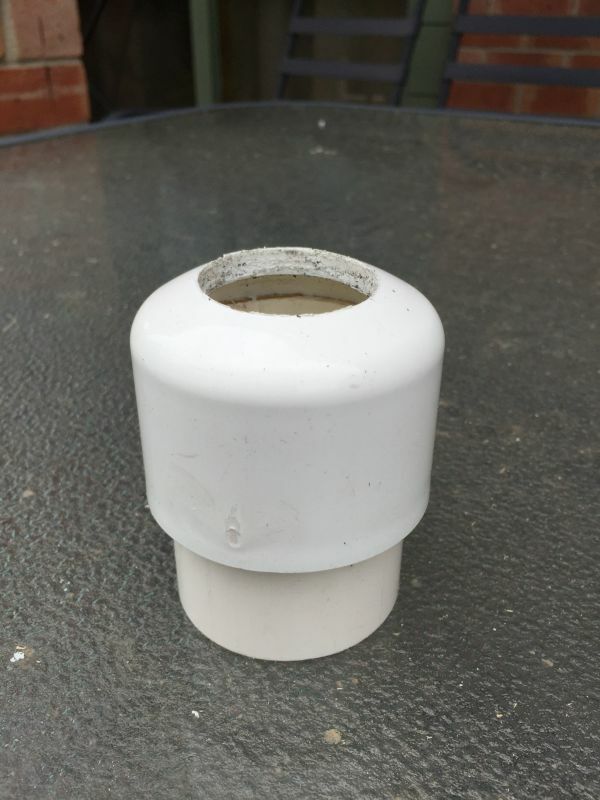 Surface area and low resistance are the key in making this antenna work properly. 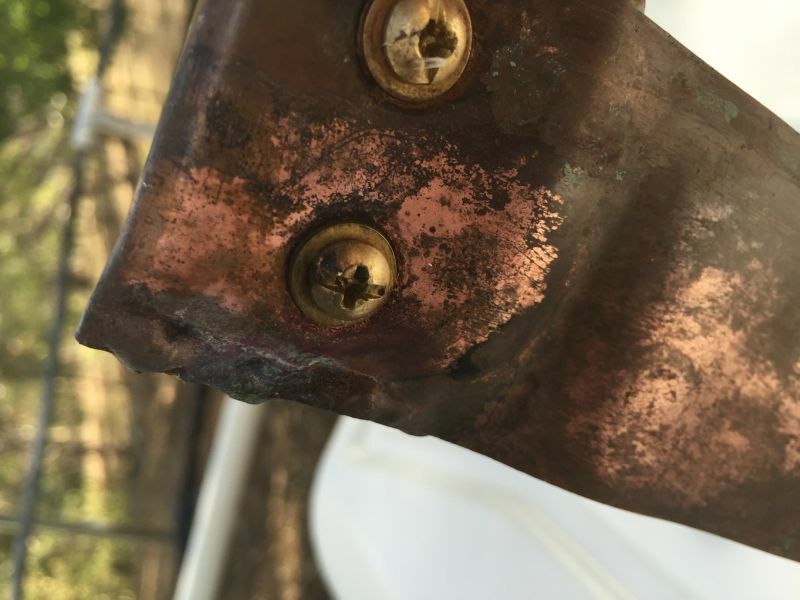 A little copper "Origami" to make the connection! The next step was to construct a shielded Faraday primary loop to excite the secondary loops. I chose LDF450 Heliax™ coaxial cable because it has a solid copper outer conductor which has better Skin Effect performance than a braided outer conductor coaxial cable, such as RG213. 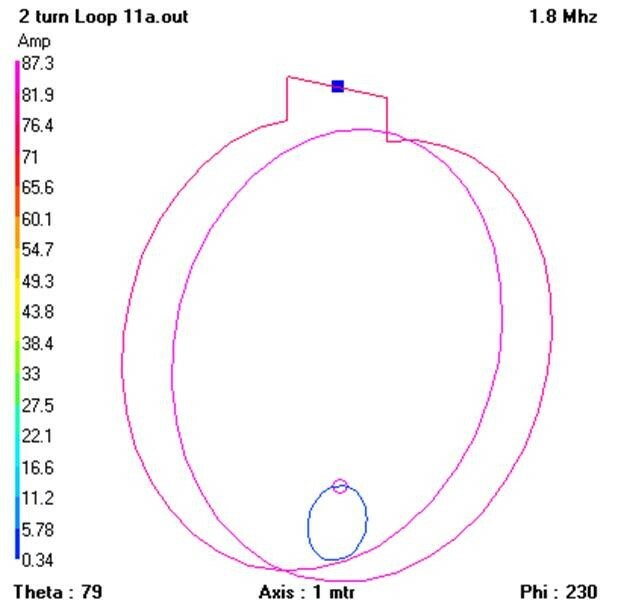 Everything I have ever read on TMLA primary loop excitation dictates that the primary loop should be approximately 1/5 the diameter of the secondary loop for maximum power transfer and a good impedance match to 50 ohm unbalanced transmission line. Unfortunately, this did not turn out to be the case! I calculated the primary loop diameter to be 600mm in diameter. Below are some photographs of the construction phase. 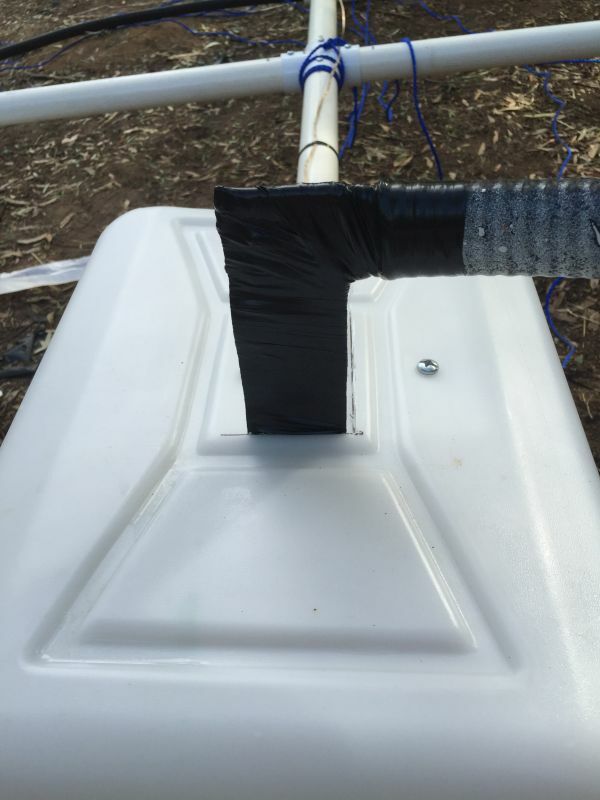 Weather proofing was achieved by the use of rubber self-amalgamating tape with a layer of UV stabilized PVC tape to protect it. Placement of the secondary loop on the scaffold. 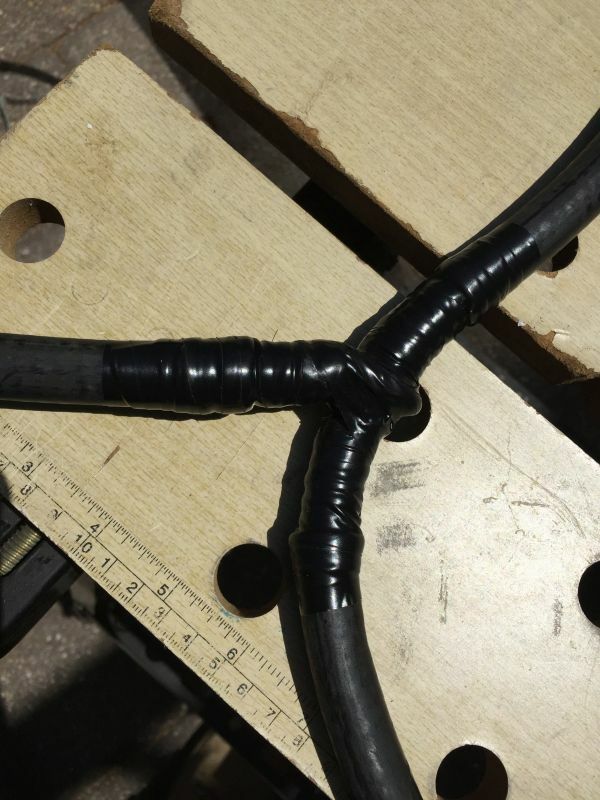 You will have to experiment with the diameter, position and shape of the secondary loop to find the best VSWR. The temporary test installation. Note the 600mm primary excitation loop. After checking the return loss and bandwidth on the 160 metre band, I decided to see what the highest frequency the TMLA could be tuned to. 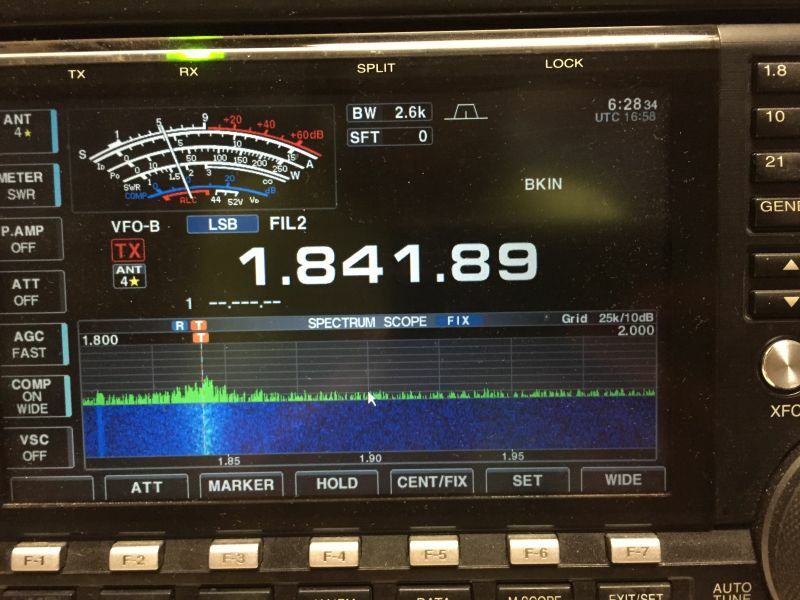 To my surprise, the antenna tuned up quite nicely on the 80 metre band and the 75 metre DX window as well. What a bonus! But will it radiate signals effectively? The return loss was approximately 14.7dB (VSWR of 1.45:1) Perfectly usable. So, now I have a three band antenna to play with. The R.F. bandwidth on 160 metres at 2:1 VSWR points is about 4khz. Just wide enough to squeeze in a SSB signal (lower sideband) as long as you put the suppressed carrier on the high side. As expected, the bandwidth on 80 metres is 8 khz @ 2:1 VSWR points. Actual tuning speed of the TMLA. Note the peak in receiver noise and the spectrum on the Waterfall Display as the resonant frequency moves up the 160 metre band. Now for the fun part. 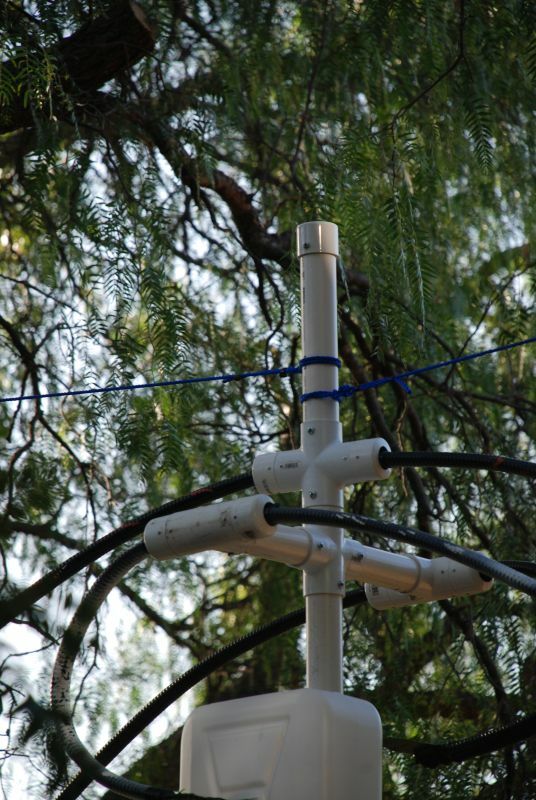 It is good to model antenna systems in the first instance. 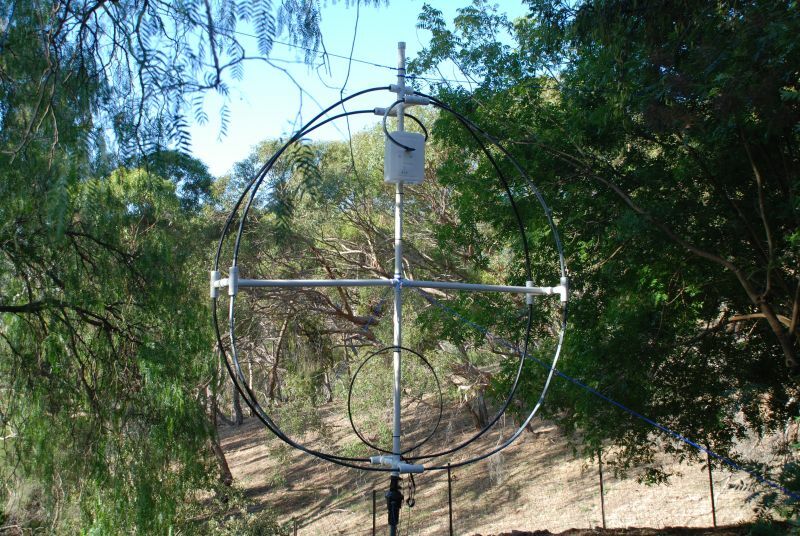 Antenna modelling programs give you a very good idea of what to expect. 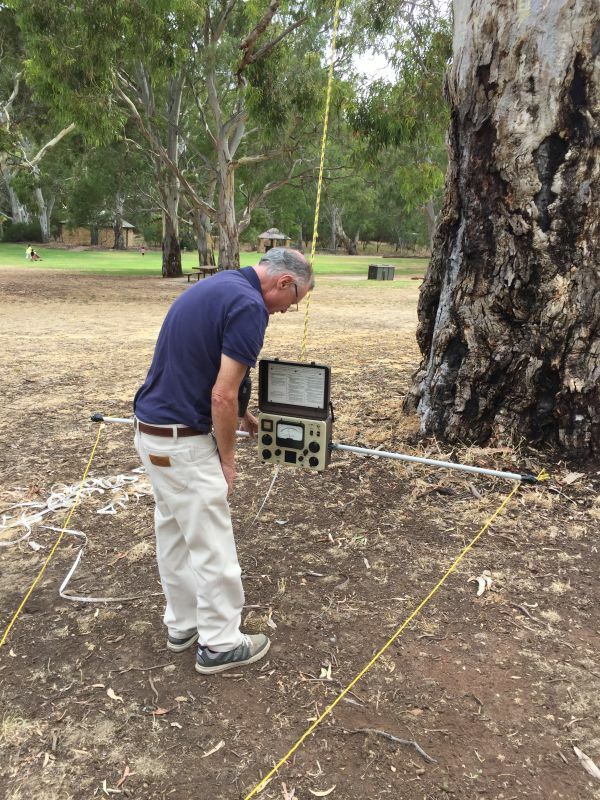 Personally, I am a little old school and like to measure performance out in the field with calibrated test instruments. The collected empirical data can then be used corroborate and fine tune the model. 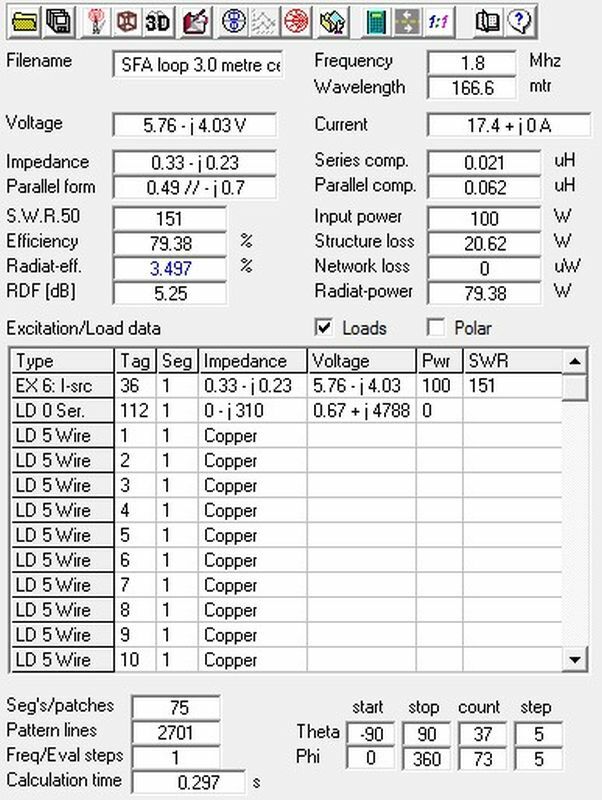 Measuring the Horizontal Radiation Pattern (HRP) of most antennas is relatively easy. Measuring the Vertical Radiation Pattern (VRP) can be a little more difficult. 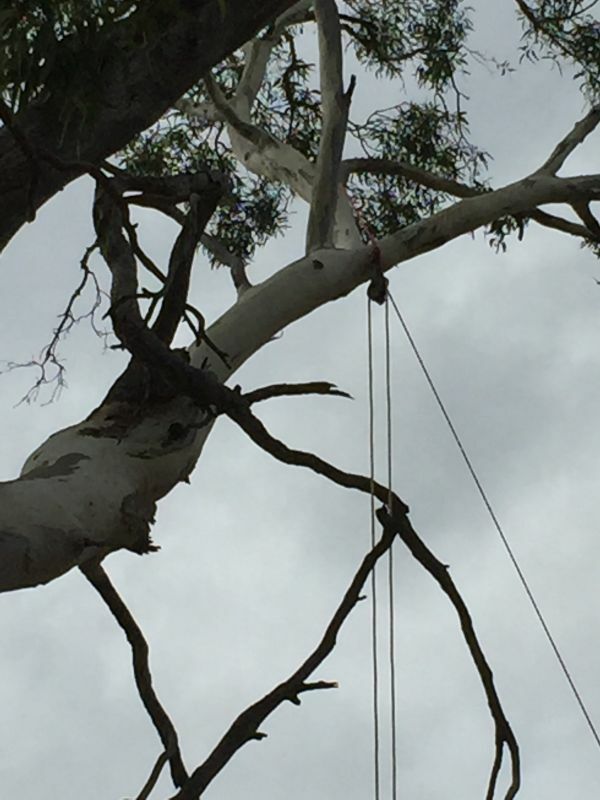 (Especially on H.F. antennae) I put forward the suggestion of using a large gum tree to "Fly" a Field Intensity Meter to be able to measure the VRP from 0 degrees to 45 degrees in elevation. 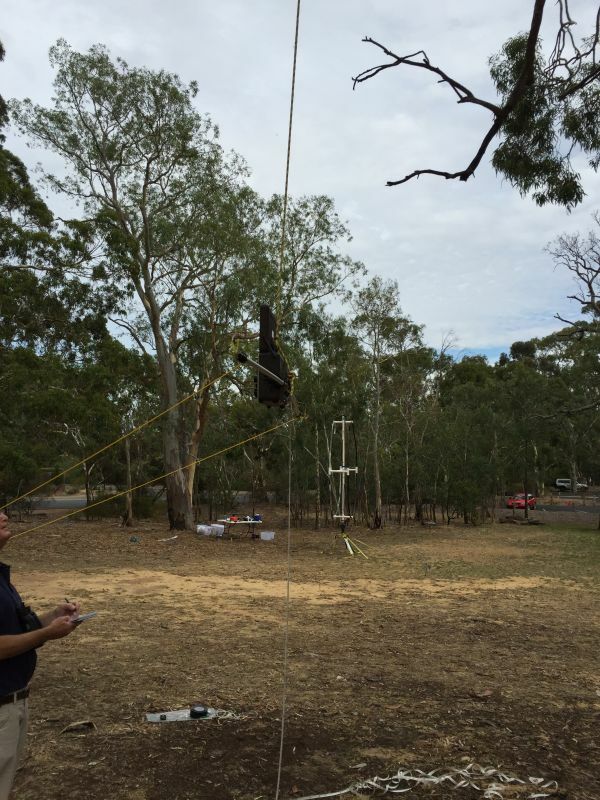 The idea was to use a horizontal branch at about 25 metres in height to allow the formation of an equilateral triangle with the antenna under test on the ground. All good in theory, but only the magnetic component of the wave was being produced in the Near Field and the Field Intensity Meter did not respond correctly. The HRP was measured out in the Far Field and was found to be within 1dB of what the model predicted. The nulls were in the right places as well. Very comforting to know and gave us all a great deal of confidence in the model. The antenna broken down and ready for transportation to the testing site. The antenna in the test position. Note the new 900 millimetre diameter primary loop. Paul preparing the Field Intensity Meter for VRP testing. Note the tape measure hanging from the bottom so we could calculate the degrees in elevation. About 15 degrees in elevation. Note the TMLA under test in the background. When trying to measure 45 degrees in elevation, we used a pair of binoculars to see the Field Intensity Meter and record the results! 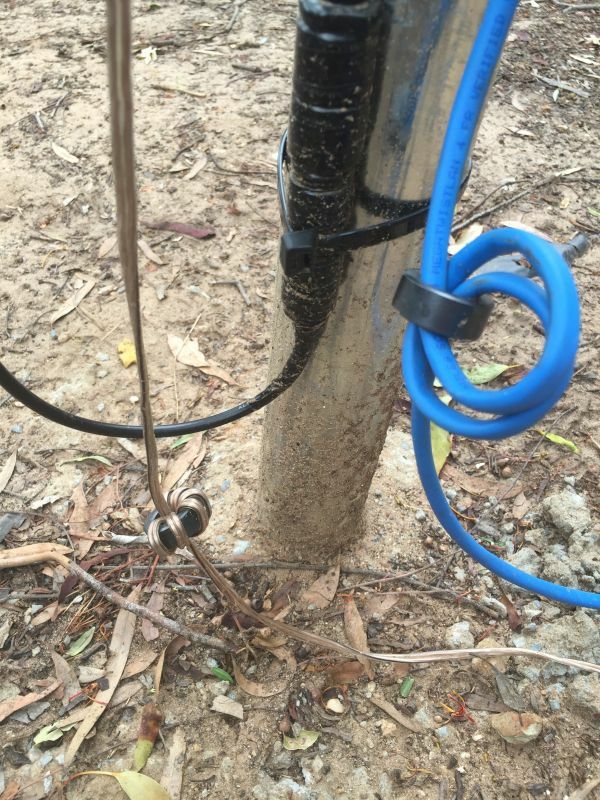 One of the caveats first expressed in the article was the variability of ground conductivity. Paul was most insistent we measure this and asked me to construct a system to deploy an elevated ground radial system. 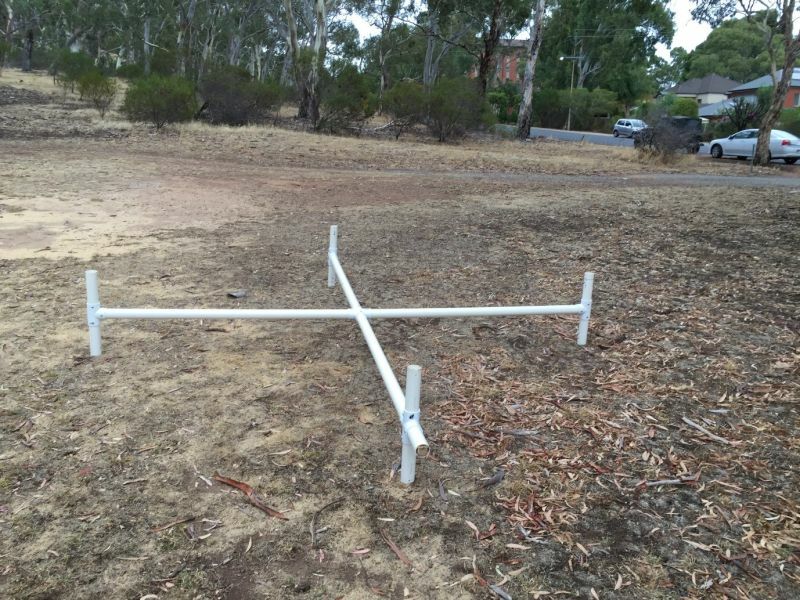 He also asked me to supply two quarter wavelength radials in plane with the loop, so we could measure the effects of the ground underneath the antenna. 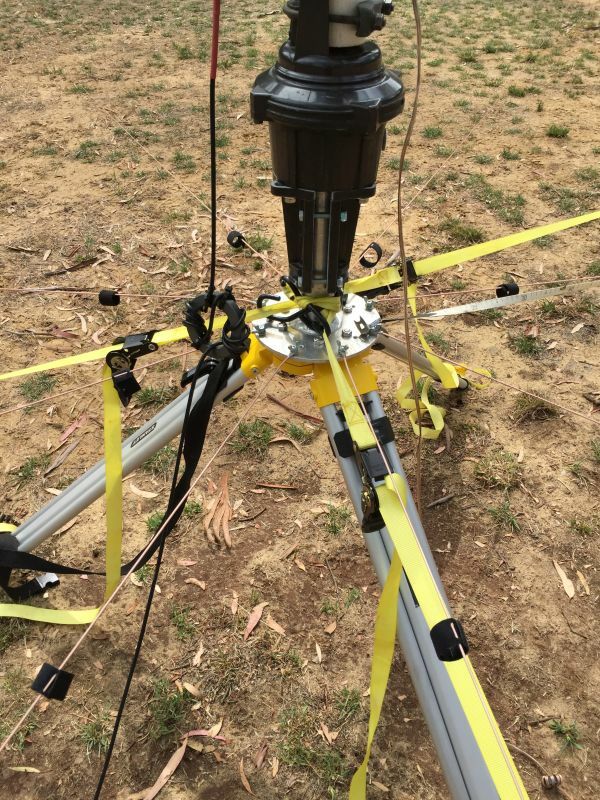 The testing consisted of taking Field Intensity measurements in the Far Field of the TMLA without any radials, then with eight non resonant elevated radials and lastly, measurements with two quarter wave radials laying on the ground in plane with the antenna. The best results were measured without any radials being present. This is consistent with soil the conductivity in my area. Problems with ground absorption under the TMLA can be overcome with an earth radial system. The 8 elevated radial system. 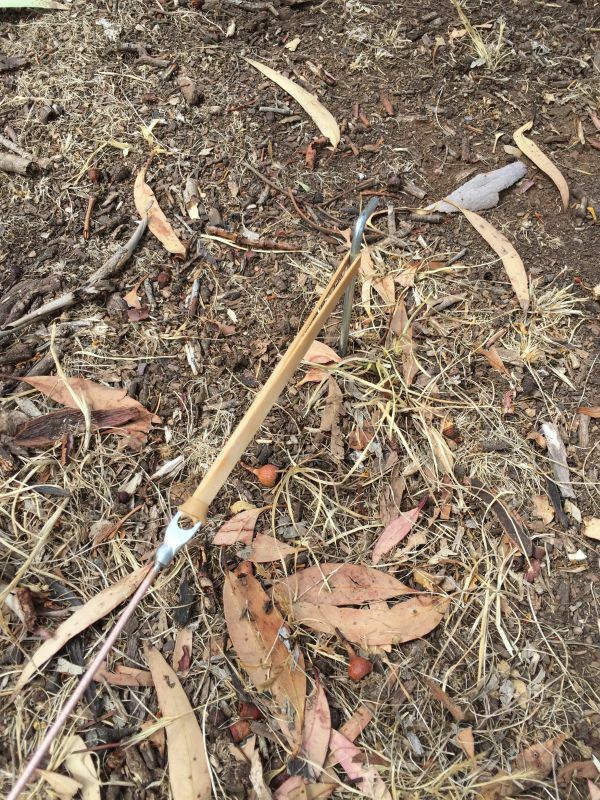 Insulating the radials from ground using a rubber band! Each radial was 10 metres long. The eight raised radials were designed to decouple the TMLA from the earth. Note the 20 litre plastic "Jerry Can" after "Surgery" covering the tuning capacitor assembly to weather proof it. Note the new extended PVC pipe at the top of the antenna to allow two of the guy ropes to clear the structure. This modification now allows the antenna to be rotated by 180° The modification required changing the top T piece out with a new cross piece. A second piece of timber was inserted into the top spreader arm to add structural support. .
Large cable ties were used to keep the waveguide from moving. A common mode choke is required to stop R.F. currents flowing in the outer of the transmission line and to balance the shielded Faraday primary loop. You must also use ferrite rings around all the other conductors as well (Servo motor control cable and rotator control cable) to break them up from R.F. 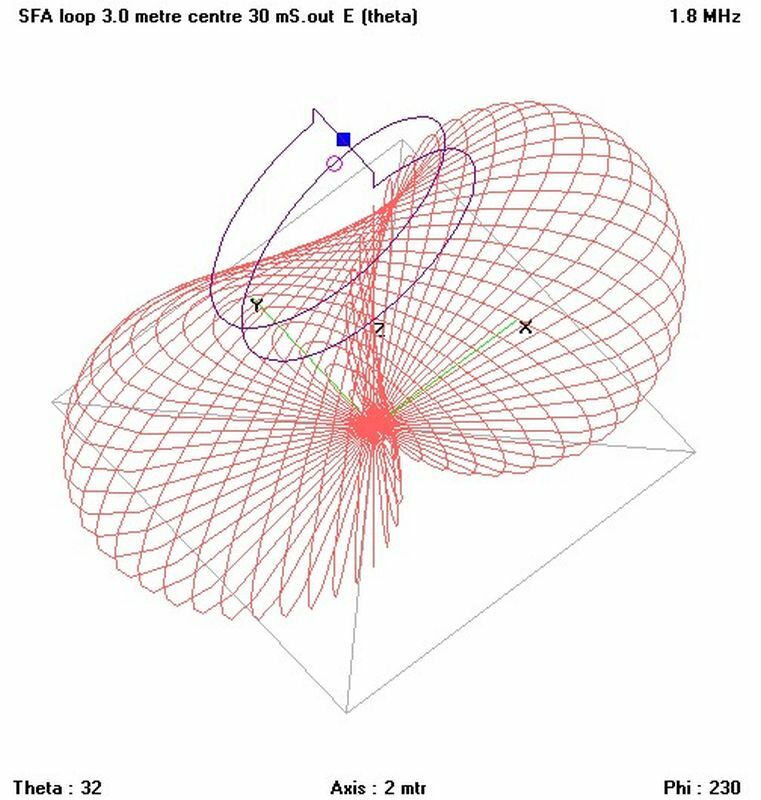 induction and behaving like ground radials. I did this every four to five metres or so. 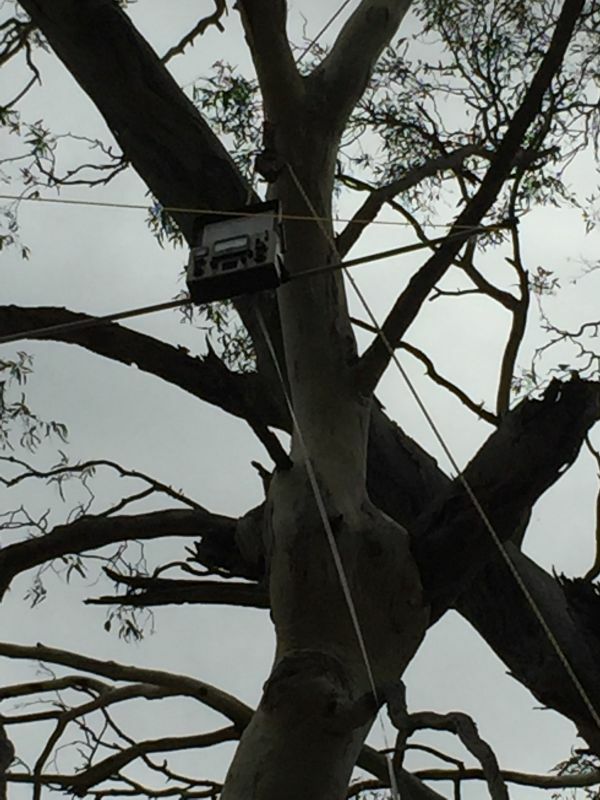 I also inserted another common mode choke in the transmission line about 10 metres from the antenna as a precaution. So, how well does it work? The most striking thing you will first notice about a TMLA is how very quiet the antenna is on receive. I live on the edge of suburbia surrounded by Plasma Televisions, Grid Feeding Solar Panel Arrays, ADSL modems, a myriad of Switch Mode power supplies and the R.F interference on the H.F. Amateur bands can be horrendous at times! 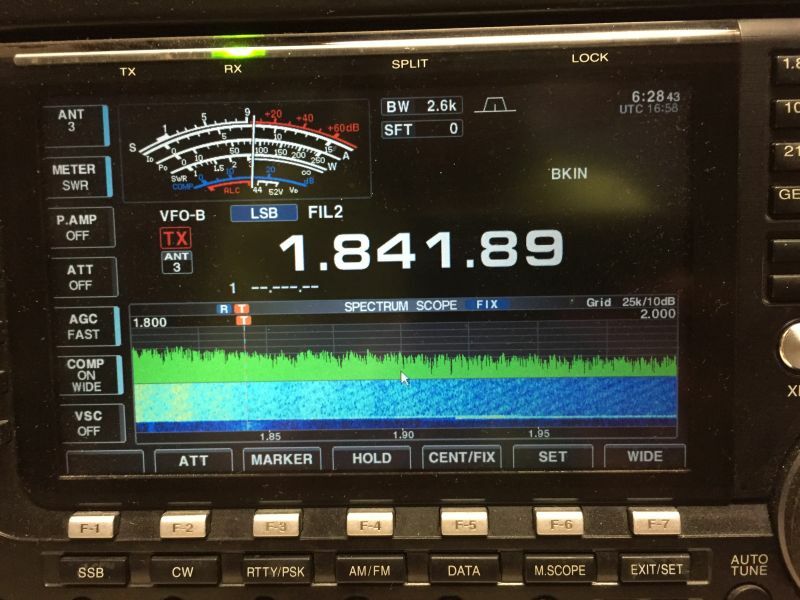 Below is a photo of my S meter on 160 metres during an especially noisy day using a resonant 160 metre inverted V Antenna. 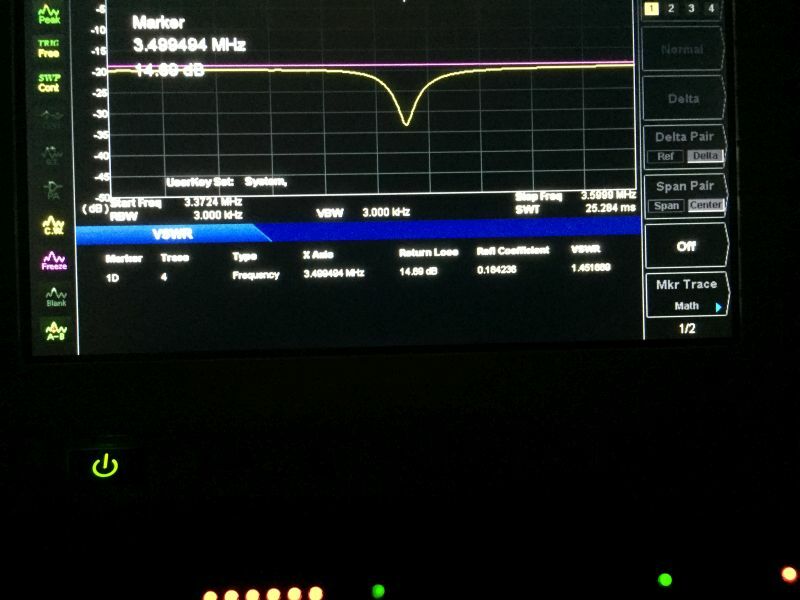 The same frequency on the TMLA. Extraordinary! This YouTube clip plays our local WIA Broadcast received on the Inverted V (Ant 3), then the TMLA (Ant 4), back to the Inverted V (Ant 3) and finally the TMLA (Ant 4). 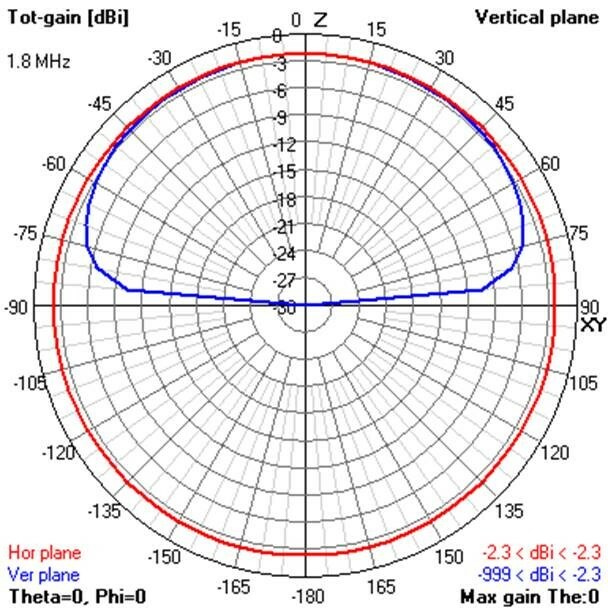 Locally, signal reports have been 10dB better on the TMLA than on the Inverted V. It has certainly sparked a lot of interest. Since February 2016: 31 DXCC Entities: Tonga, USA, Germany, Italy, Japan, Ogasawara, Alaska, Lithuania, Finland, European Russia, Asiatic Russia, Ukraine, Greece, Eastern Kiribati, Canada, Heard Island, Palau, Norfolk Island, New Zealand, Australia, Philippines, Solomon Islands, Niue, Melish Reef, Chatham Island, Ducie Island, France, Guam, Samoa, Sri Lanka (SFA Loop to SFA Loop), Vanuatu & Argentina. (SWL) Mostly on CW and mostly at Grey Line. 4 Continents. (No Africa yet) Over 300 contacts. 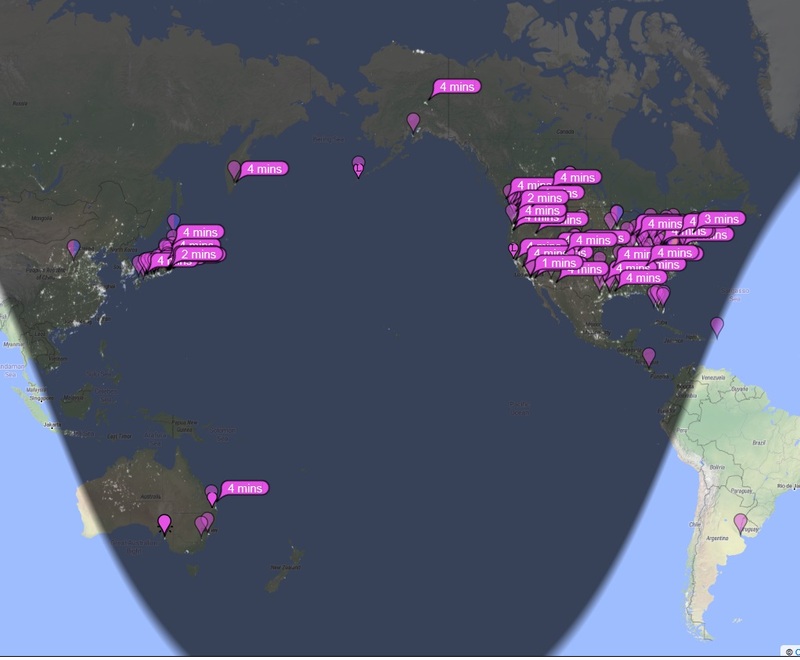 All at 100 watts CW or FT8 This tells me the antenna is working and accepting signals from low angles of elevation. 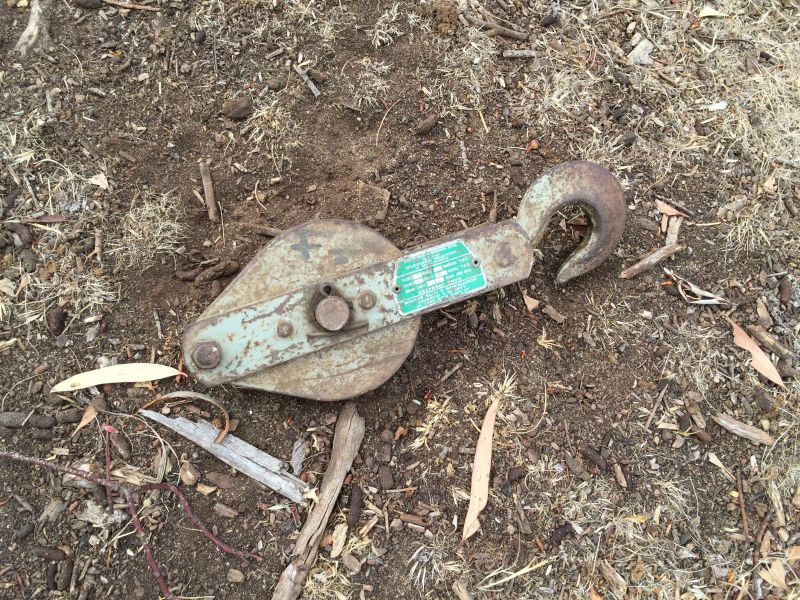 80 metres is a different story having worked 42 separate entities to date. Have a look at the screen capture below on a night where conditions were good on 80 metres using FT8 mode. The average SNR was -10 using a transmitter power of 120 Watts. The TMLA is an exceptional performer on 80 metres. My first confirmed DX contact on the TMLA. 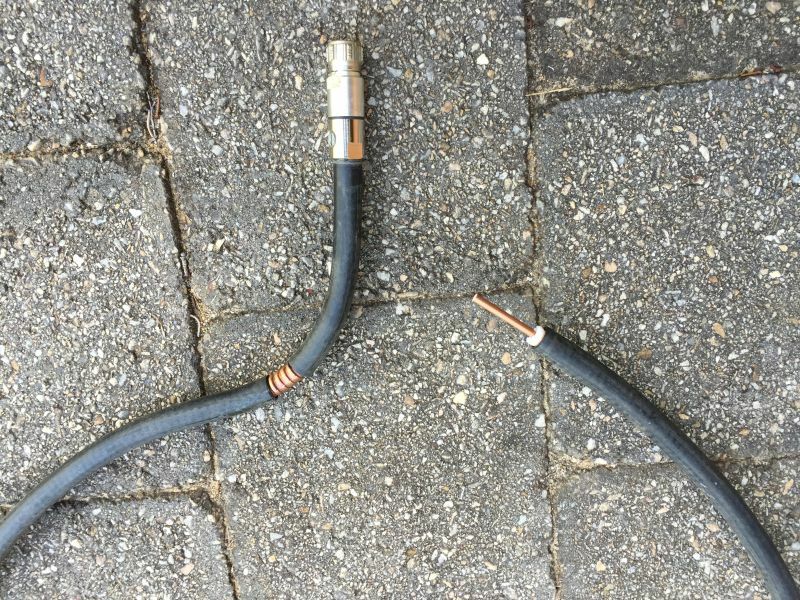 In summary, would I recommend building this antenna? Absolutely. 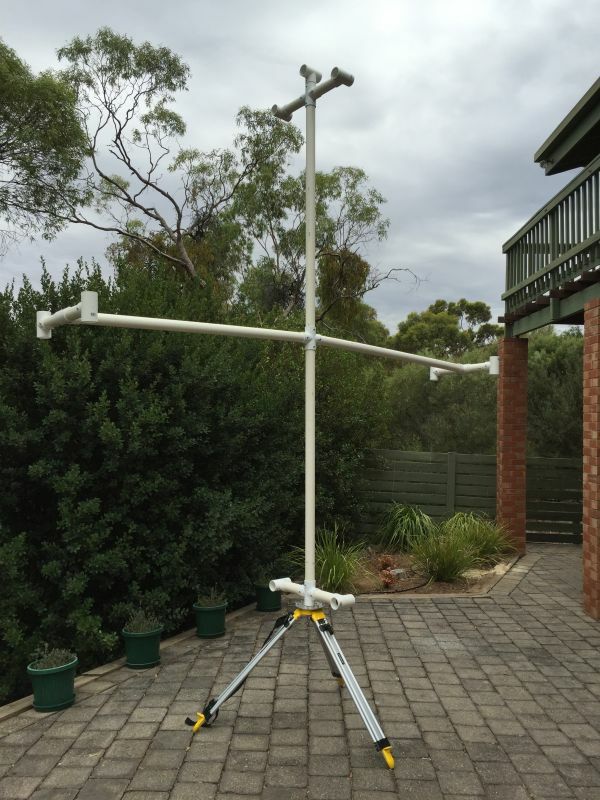 My TMLA is a wide coverage (160 metre to 75 metre), narrow band antenna. A word of warning though. Make sure you get spousal / partner approval before building this antenna. Remember, beauty is in the eye of the beholder! In summary we can say the TMLA compared to conventional 160m dipole/monopole antennae is much kinder to the close-in non-radiating evanescent mode energy storage fields such that more of the input power actually ends up in the desired propagating far-field before lossy dielectric ground interaction soaks it up! And that radiated power successfully launched into the ether extends down at a nice low pattern take-off angle conducive to facilitating DX propagation. 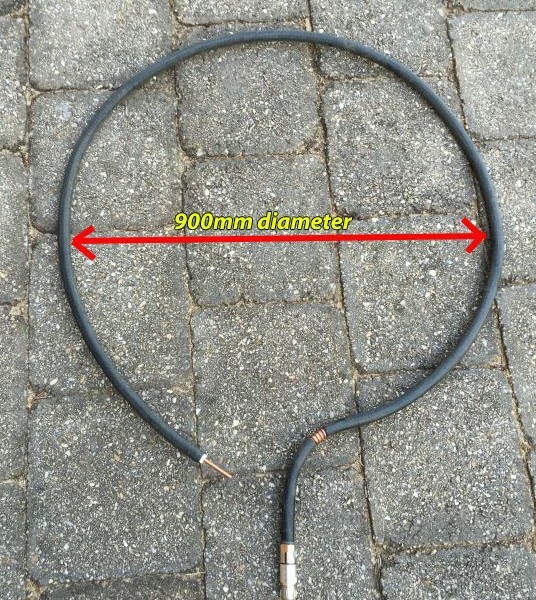 This is the unique situation given the proviso the close-in magnetic induction field is not overly attenuated by too short a mast height for the loop structure. The total energy stored in the TMLA structure is reasonably independent of mast height and the observed variation in structural Q and hence VSWR bandwidth is attributed to the variation in the total feedpoint resistance (having the 3 contributing components of Rrad, Rloss, and Rgnd loss); the major contributor here being the steep variation in the ground loss resistance due to the very close-in induction field sensitivity. 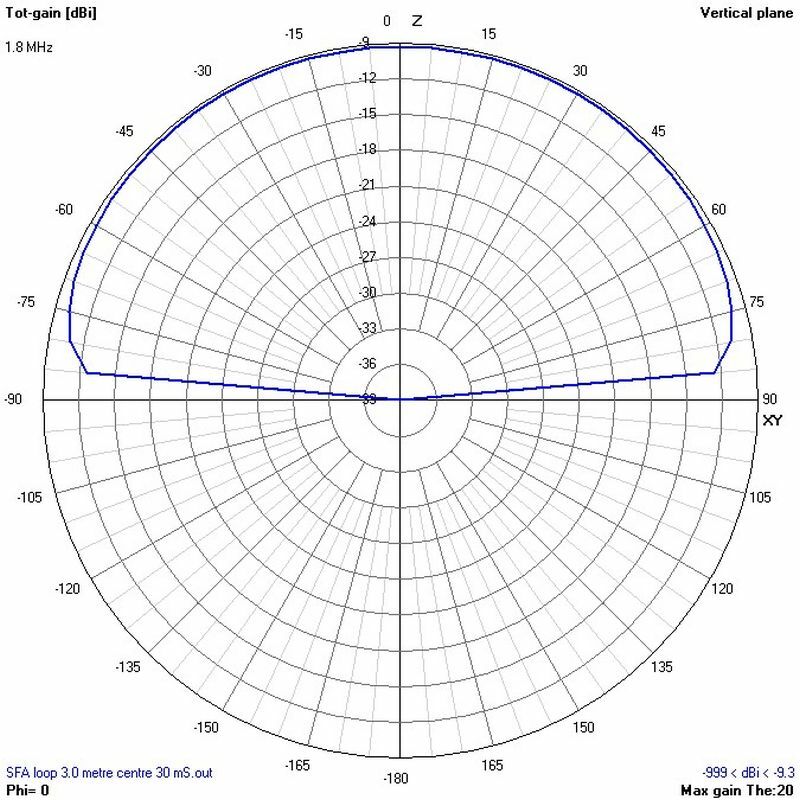 The Rgnd component falls quite rapidly with increasing height; whereas the Rrad radiation resistance changes quite benignly (image-plane reinforcement reduction), and the intrinsic antenna structure Rloss remains virtually constant with changes in height. 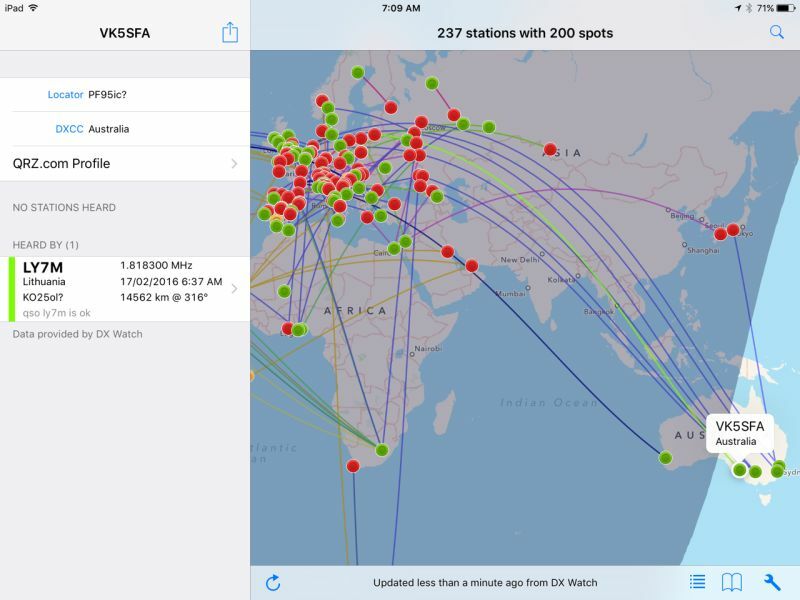 For 160m / MF amateur aerial systems actual on-air MLA performance is far more important / meaningful than trying to determine and to fixate on radiation efficiency per se. Even a modest few Watts transmitted along a desired propagation ray path is much more effective than hundreds of Watts radiated at the wrong solid angle! 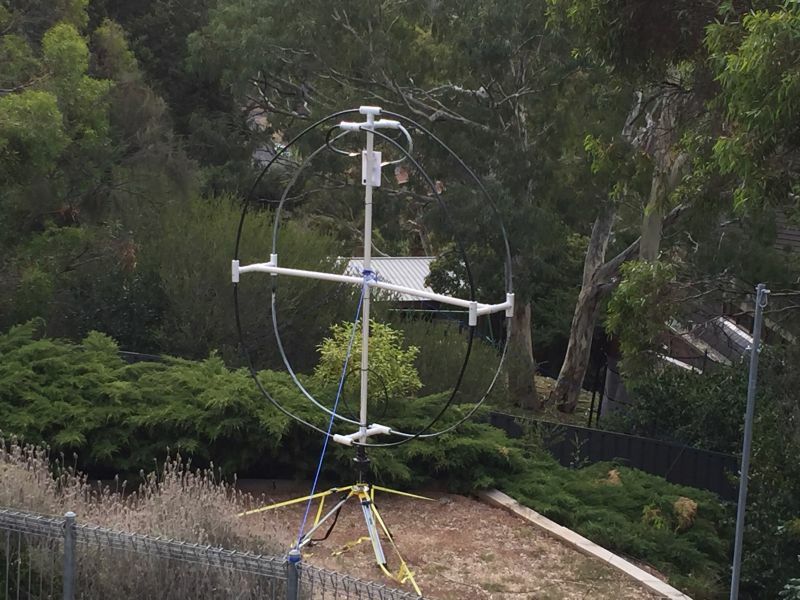 For amateur use in tight site-restricted suburban backyards aerial efficiency is not so important; as long as one can enjoy lots of QSOs and generate lots of fun defying conventional wisdom! 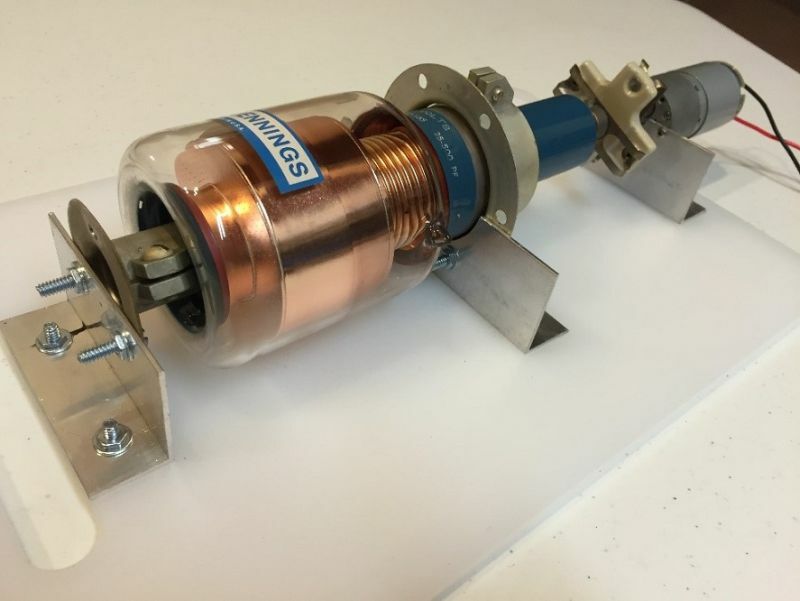 Nevertheless the question of the theoretical efficiency of compact transmitting loop antennas vis-à-vis other ESA structures is a fascinating one and of practical importance that inextricably involves deleterious interaction with ground. Inefficient antennas cannot be tolerated in high-power broadcast applications where energy costs become an issue and there consequentially exists no room for inefficient antennas. 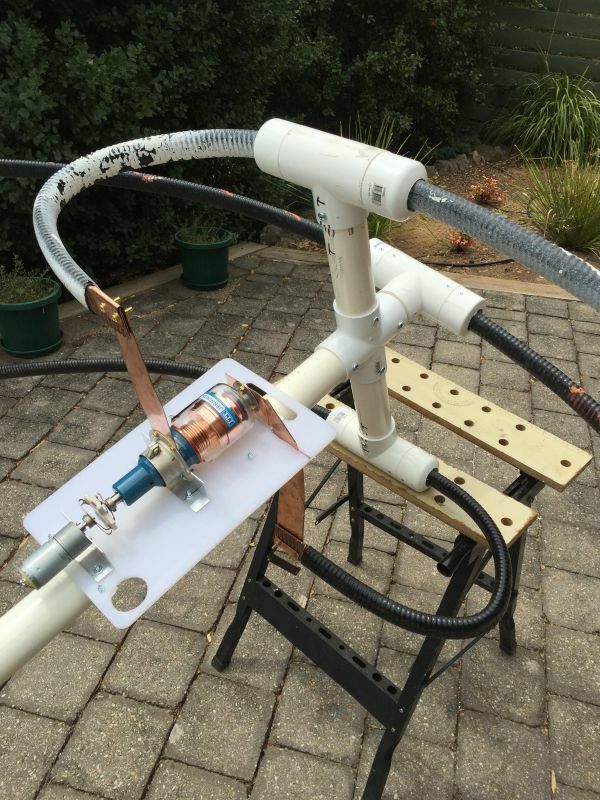 The VK5KLT maxim: providing that a small footprint MF or lower-HF antenna of perhaps only a few percent efficiency radiates a few Watts along a greater circle DX path with the right direction and elevation it will perform as good as or far better than an efficient full-sized dipole antenna spraying out hundreds of Watts in the wrong direction or wrong elevation! This is the key and oftentimes sobering teaching for the oft underestimated MLA. 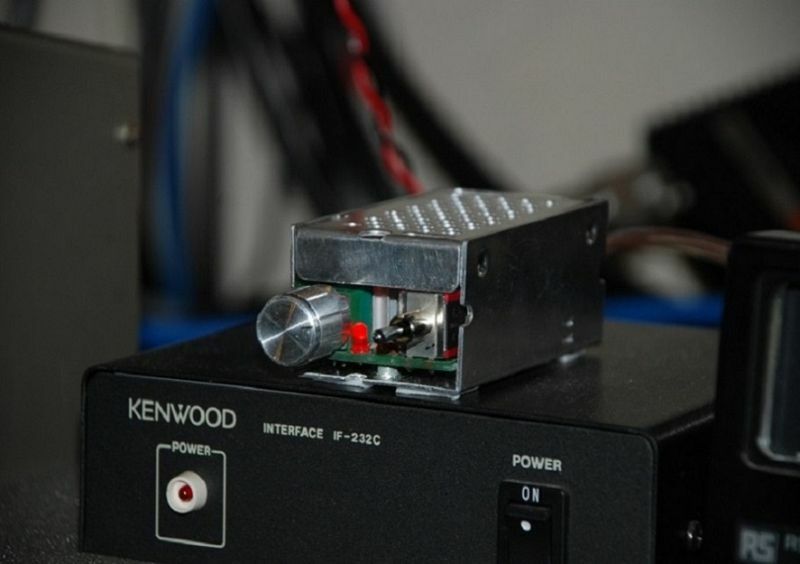 There is no doubt that for the radio amateur with restricted space for a conventional 160m top-band antenna the small MLA can be a very effective system punching well above its weight, no matter whether the radiation efficiency at the lower end of its frequency range is only a few percent when deployed in a practical real-world environment that unavoidably couples to and interacts with ground; albeit to a lesser degree than practical MF / low-HF dipoles. In spite of this handicap the MLA will still outperform conventional low-band antennas over DX paths due to its low-angle radiation. I do hope you enjoyed reading about my 160 metre TMLA project. Hopefully, you might be inspired to build one too. See you on Top Band! 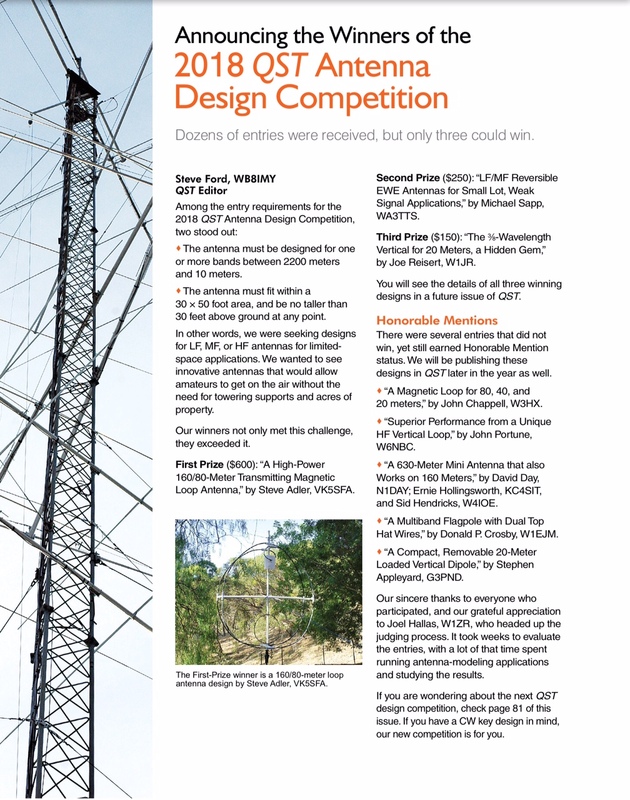 Last year I entered my 160 Metre TMLA design into the QST antenna competition. I am humbled to say that the editors awarded me 1st place! The design was published in the April 2019 edition of QST magazine.